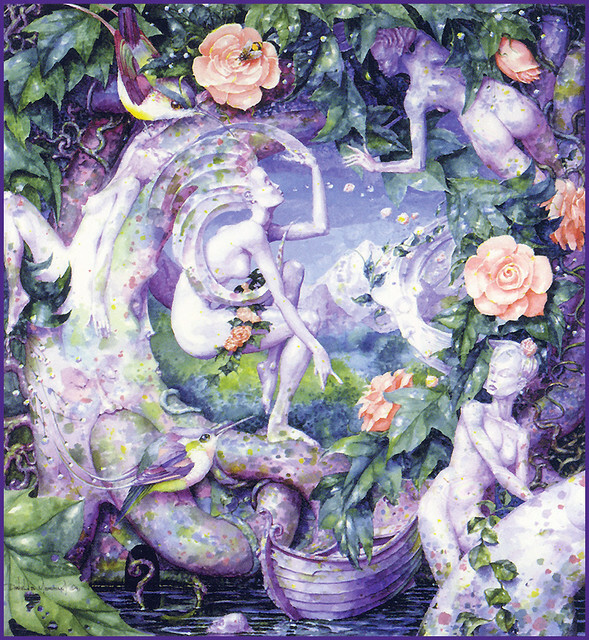 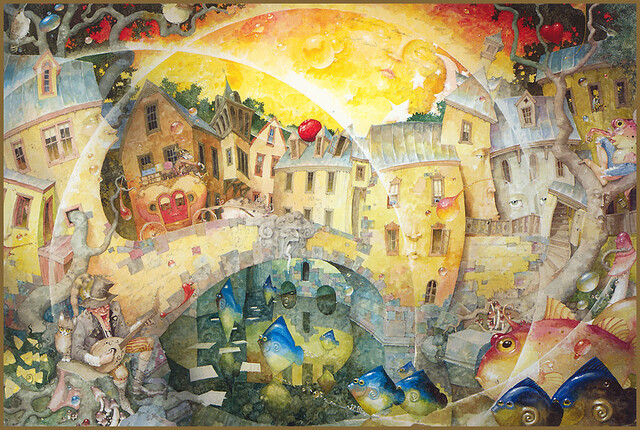 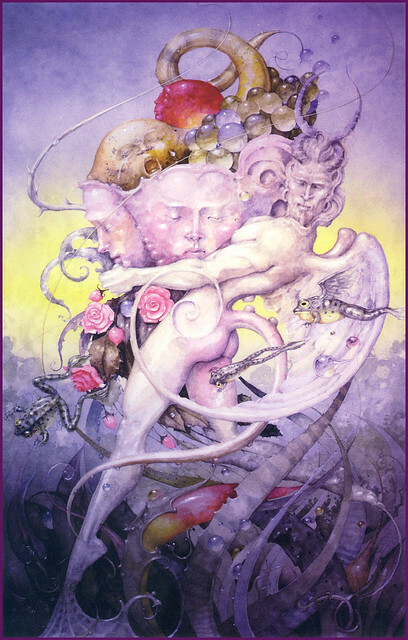 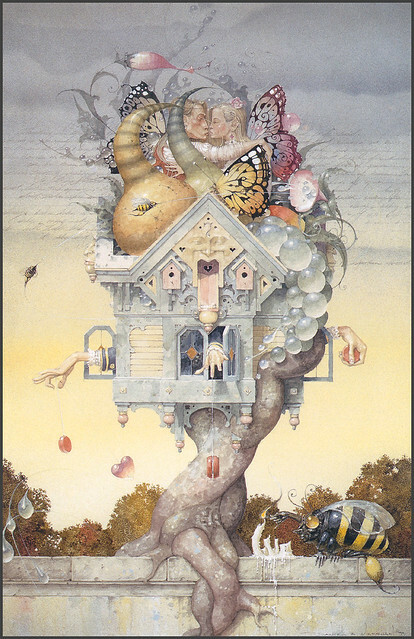 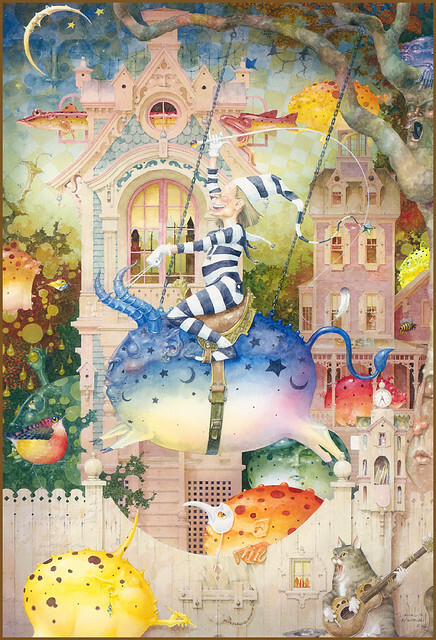 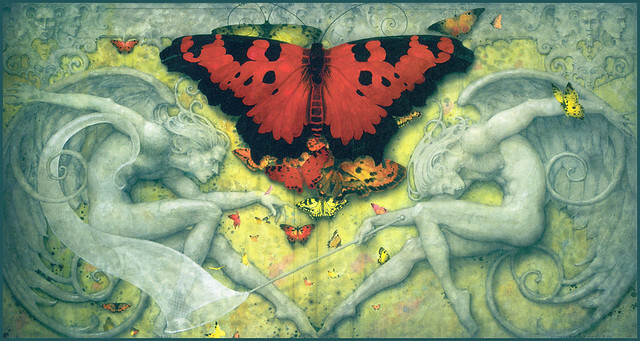 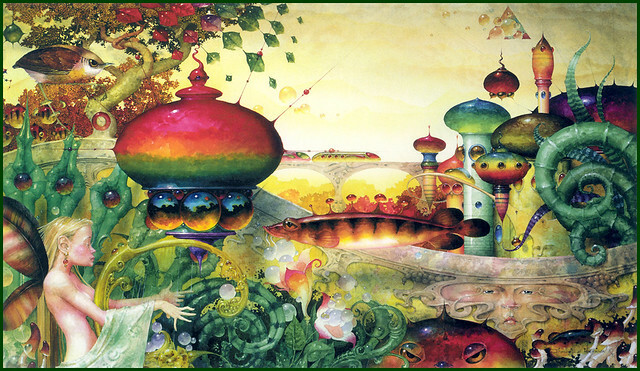 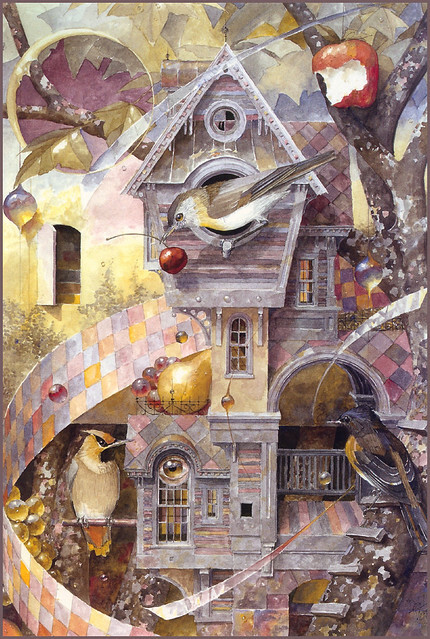 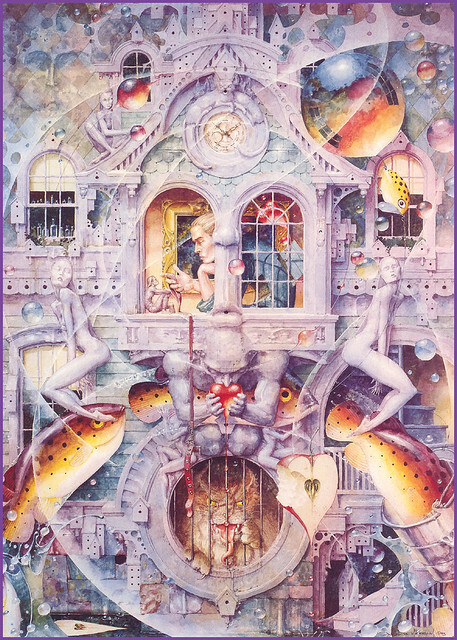 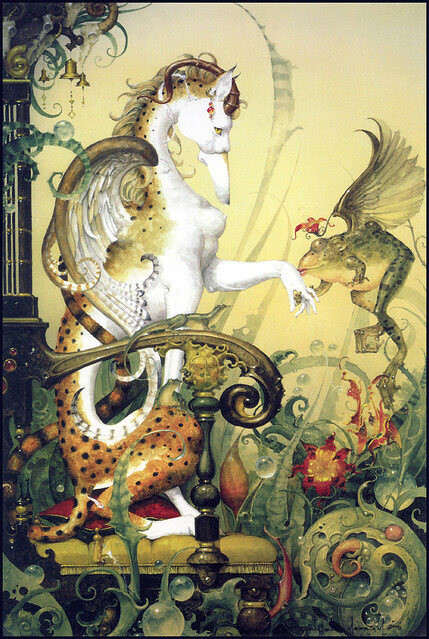 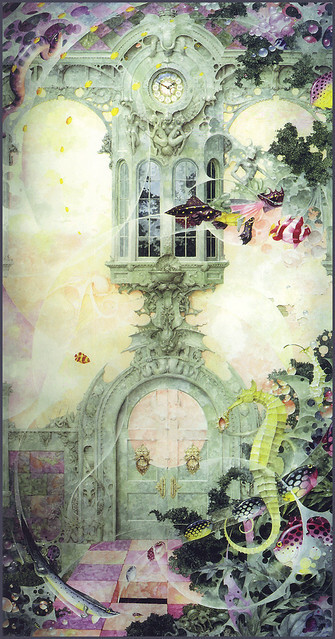 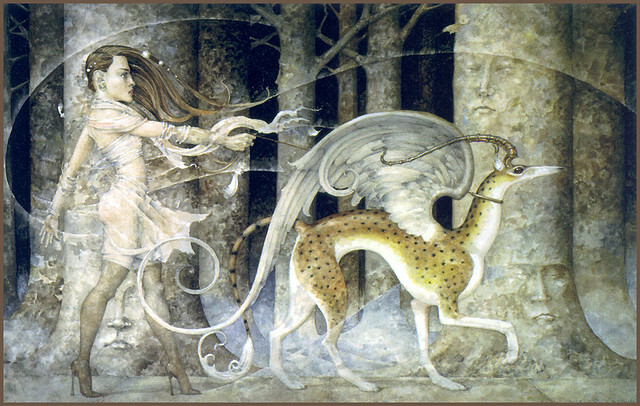 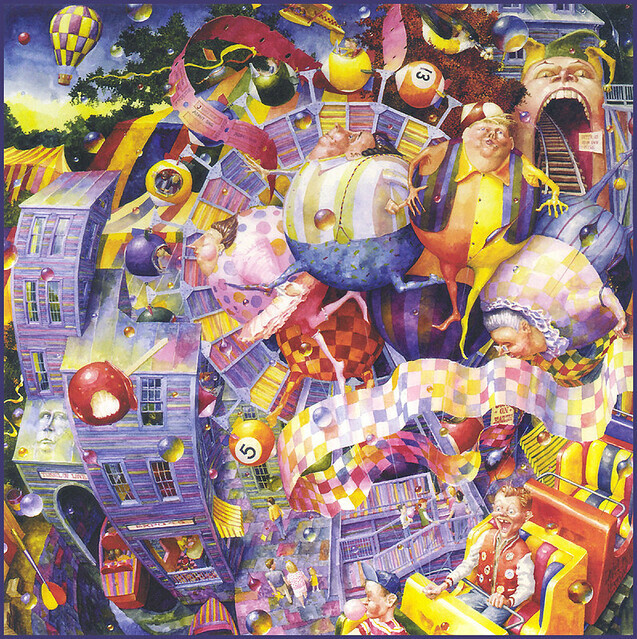 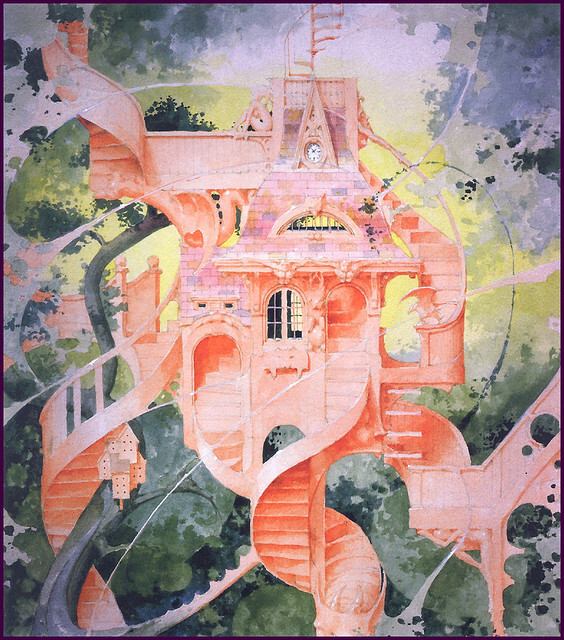 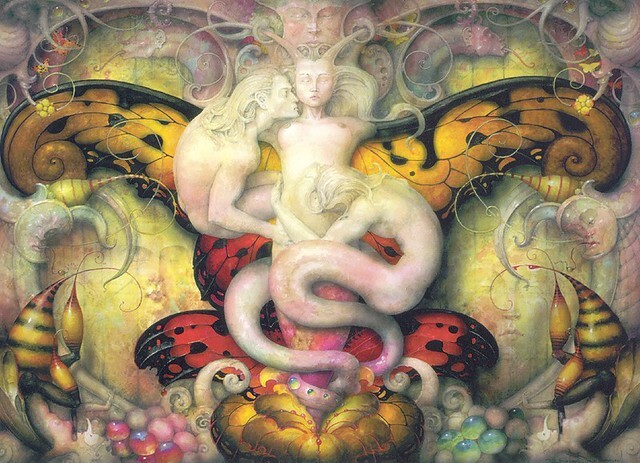 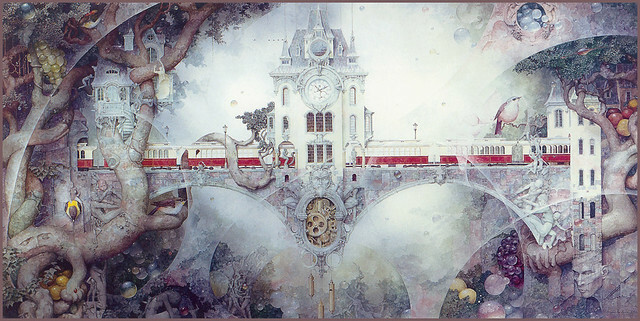 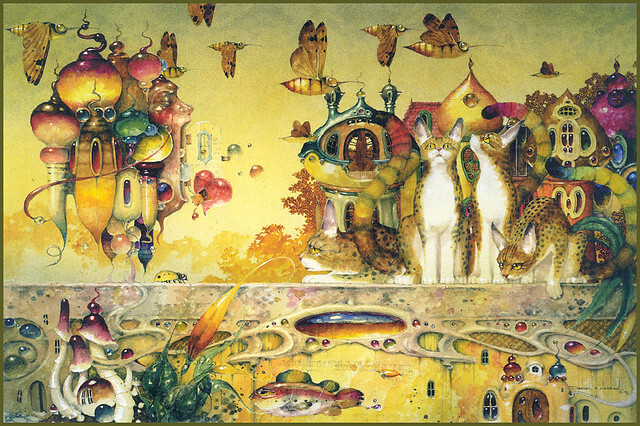 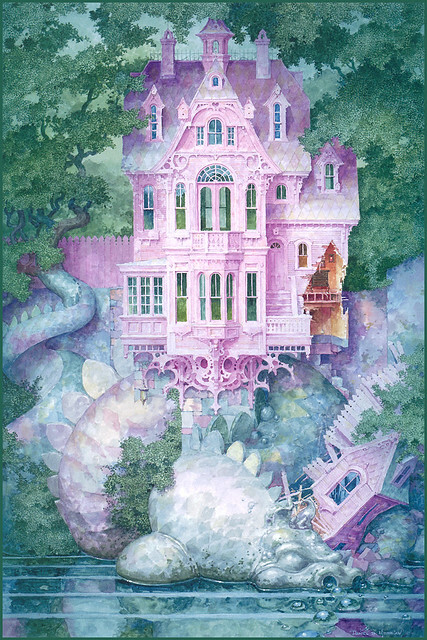 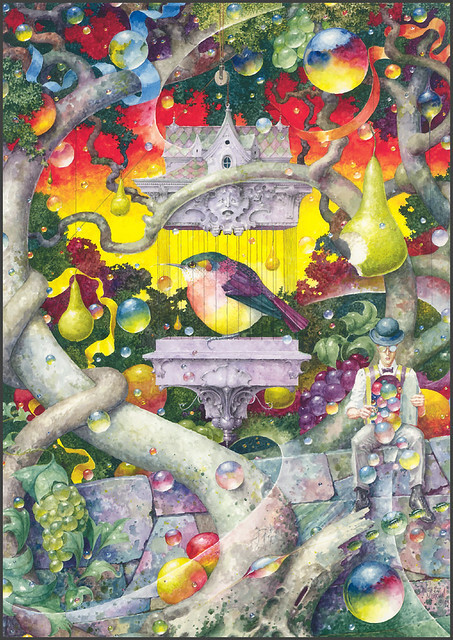 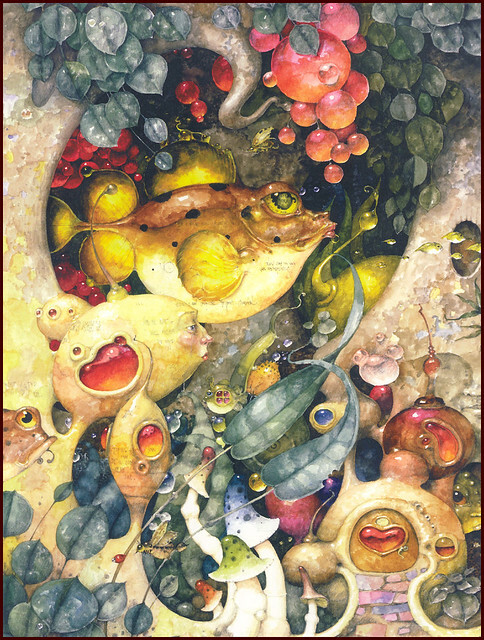 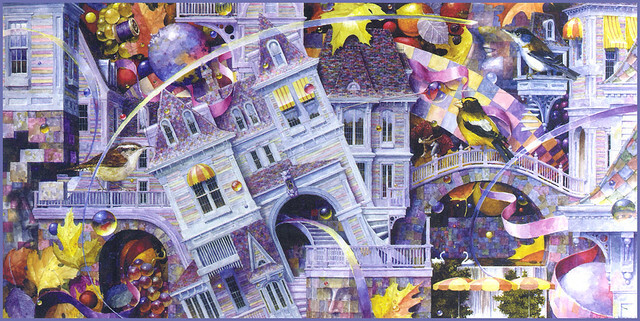 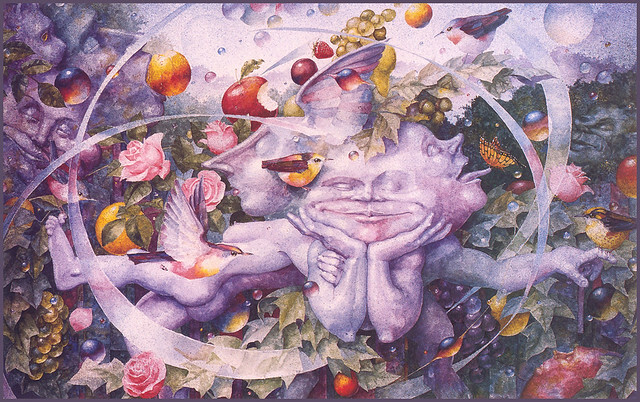 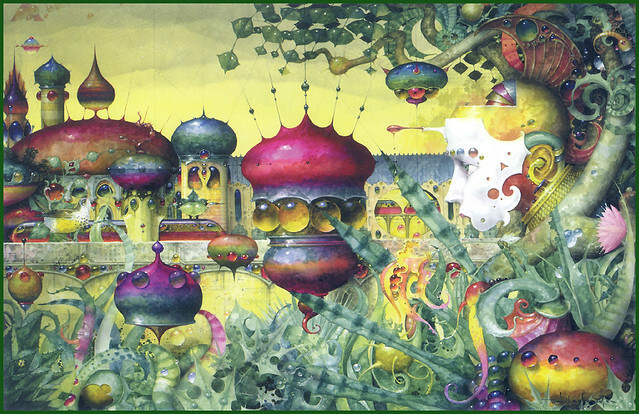 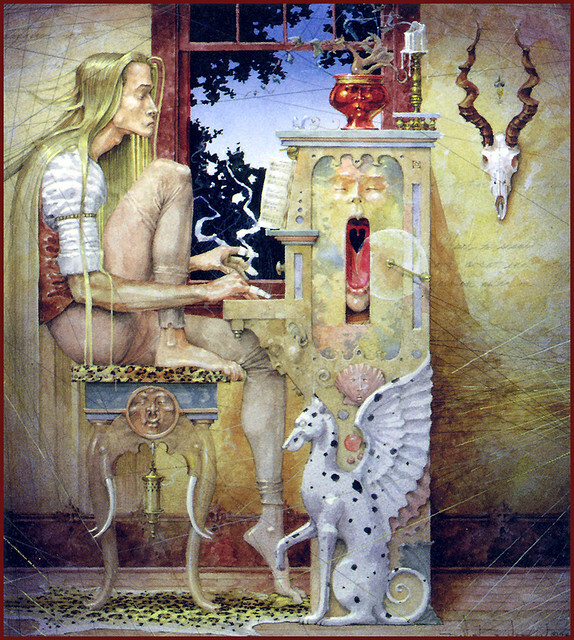 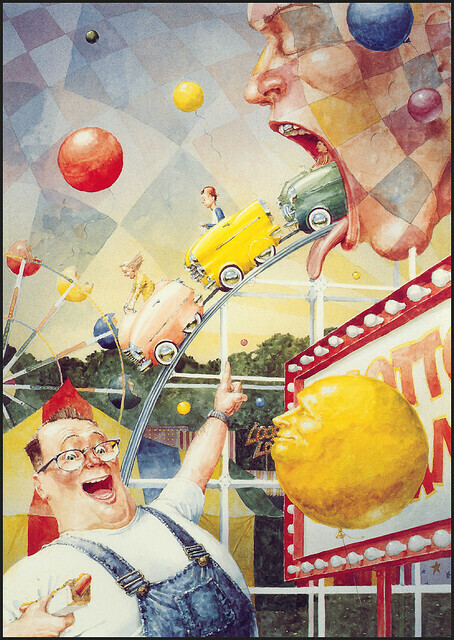 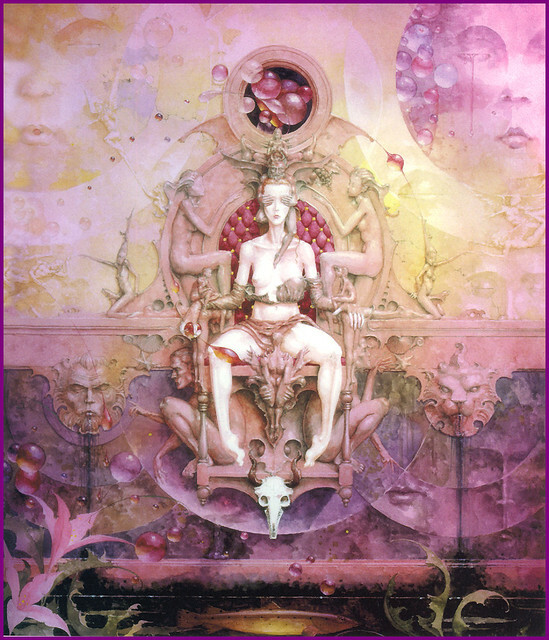 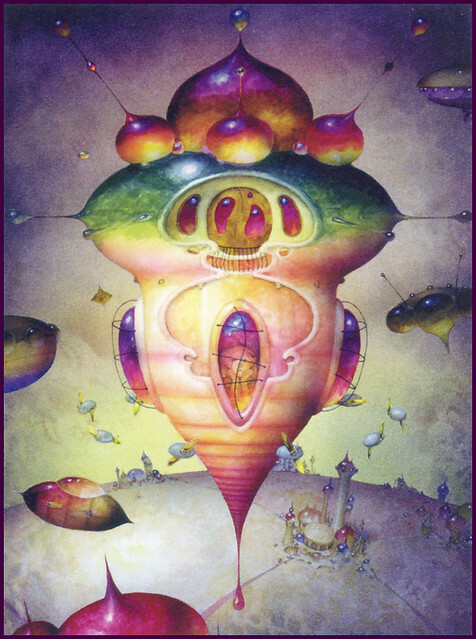 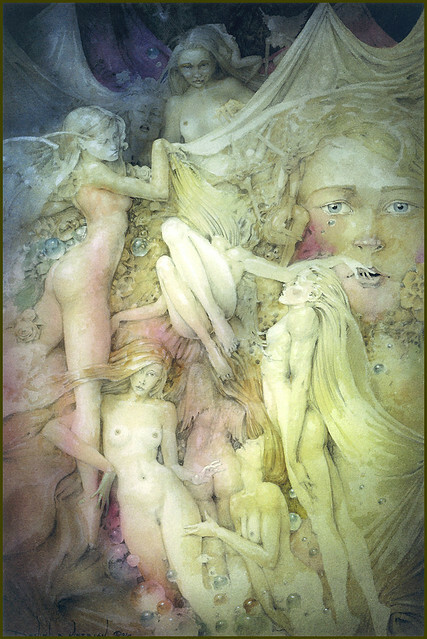 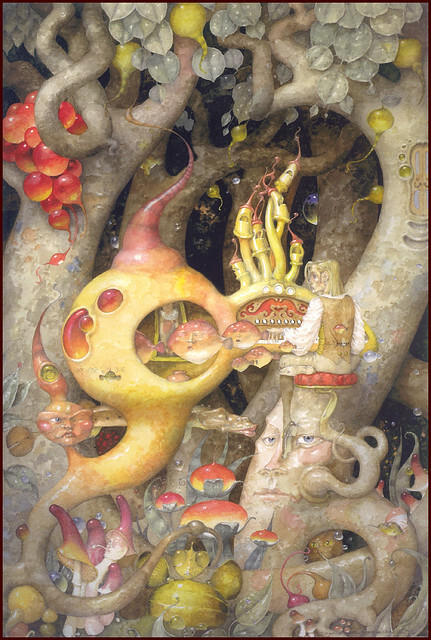 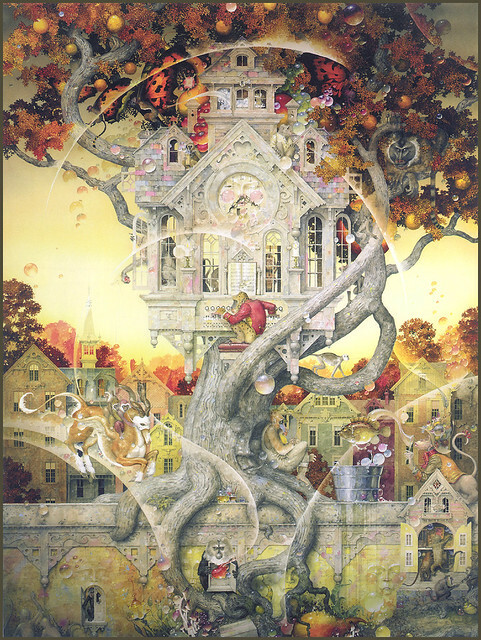 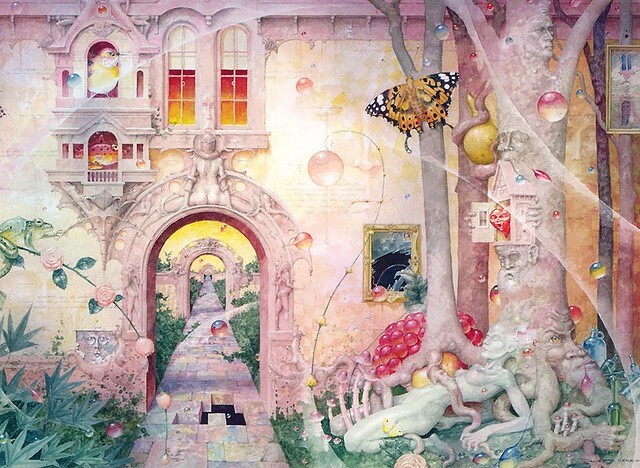 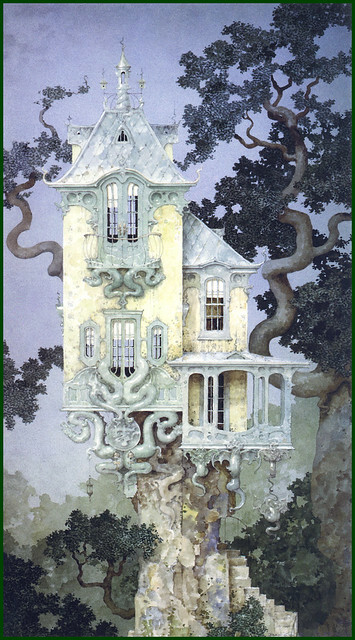 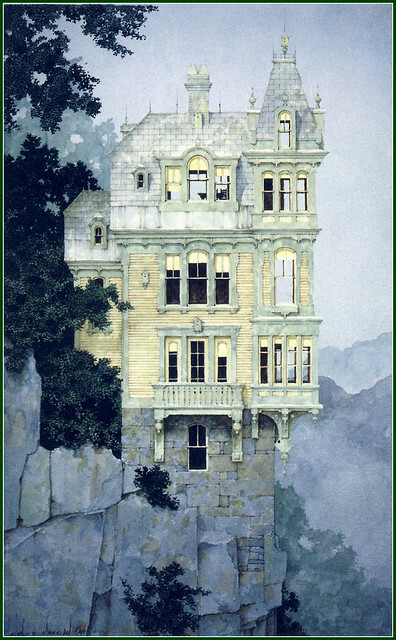 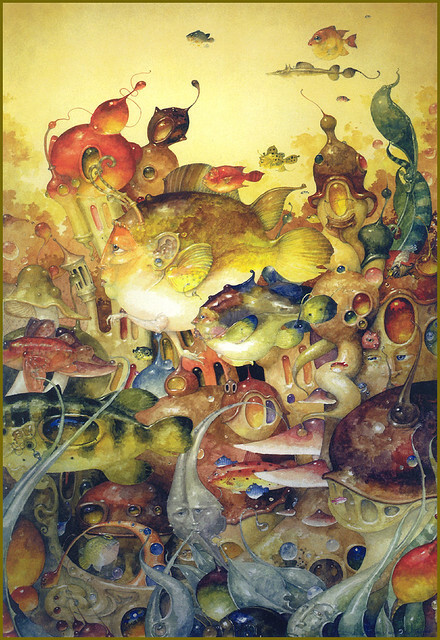 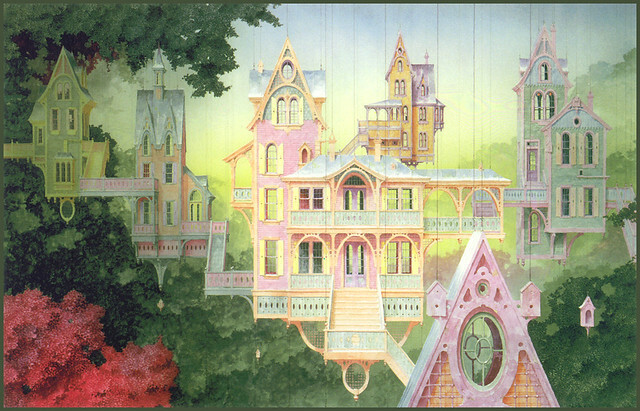 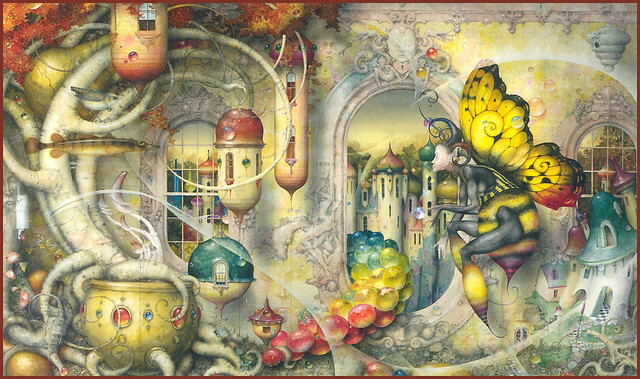 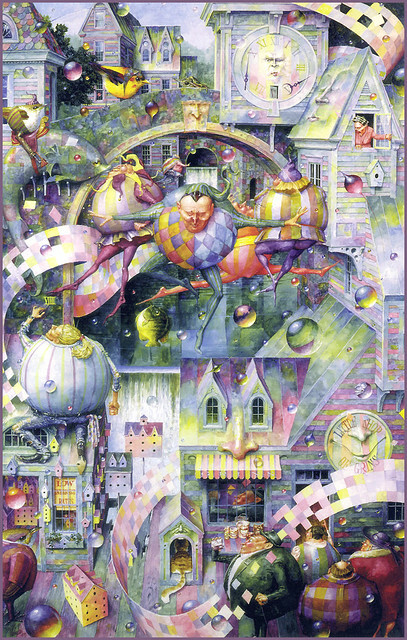 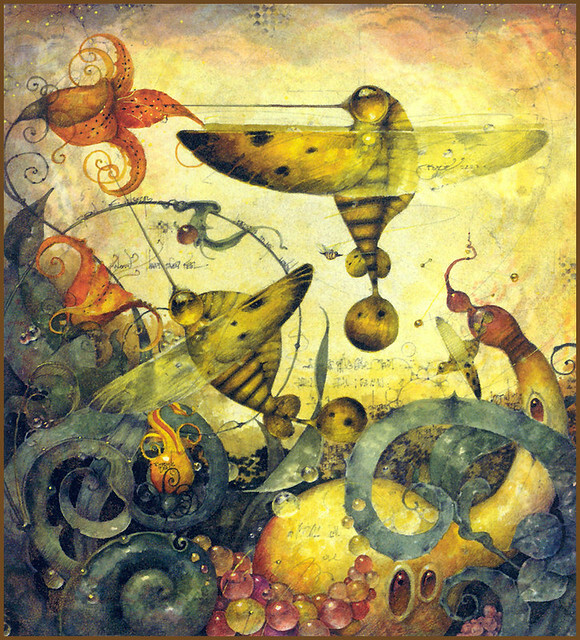 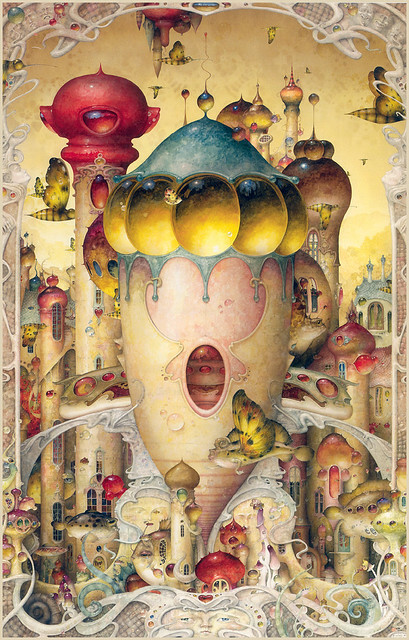 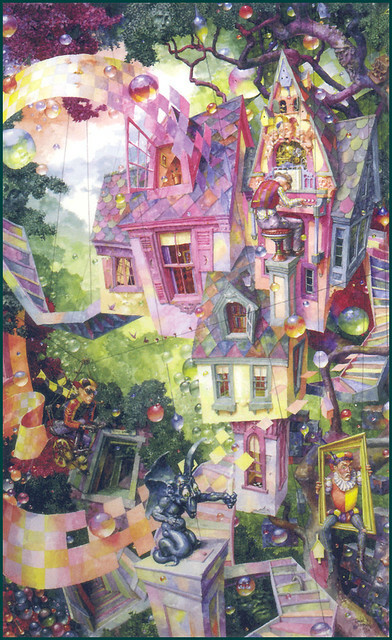 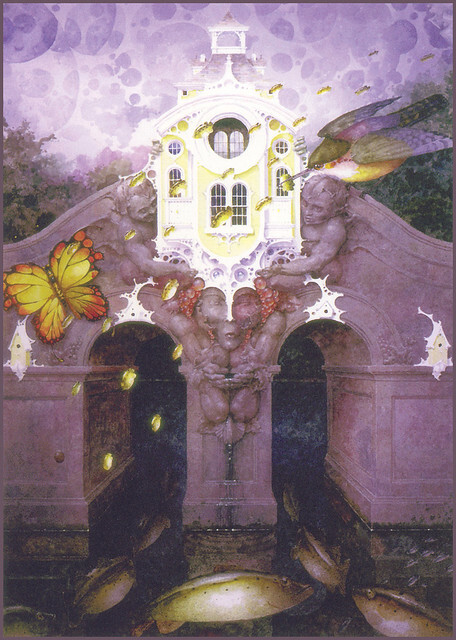 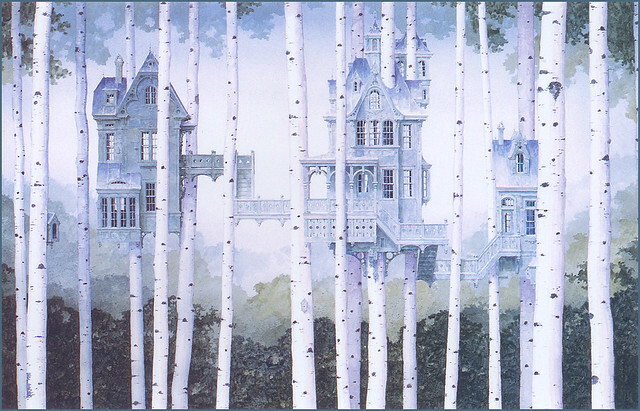 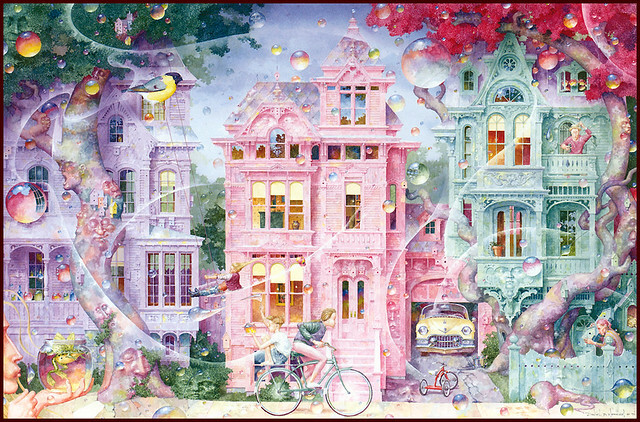 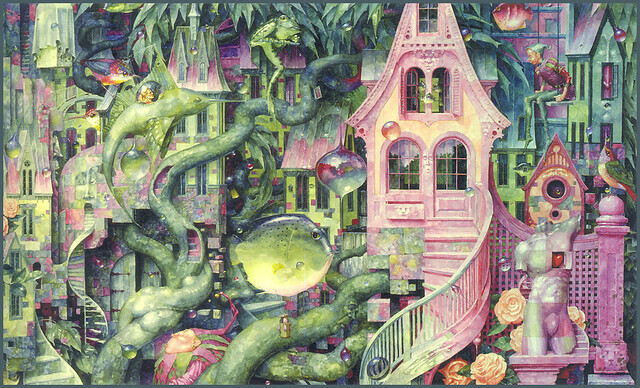 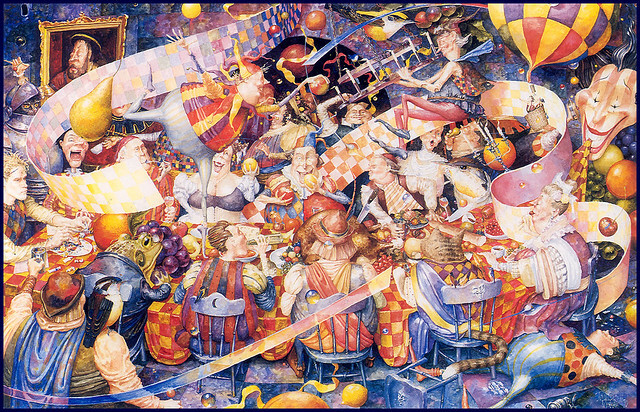 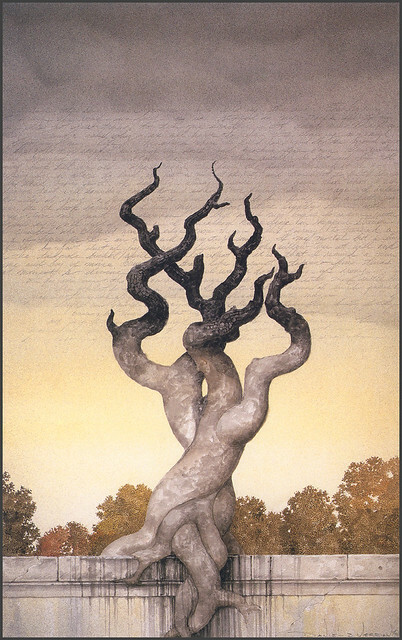 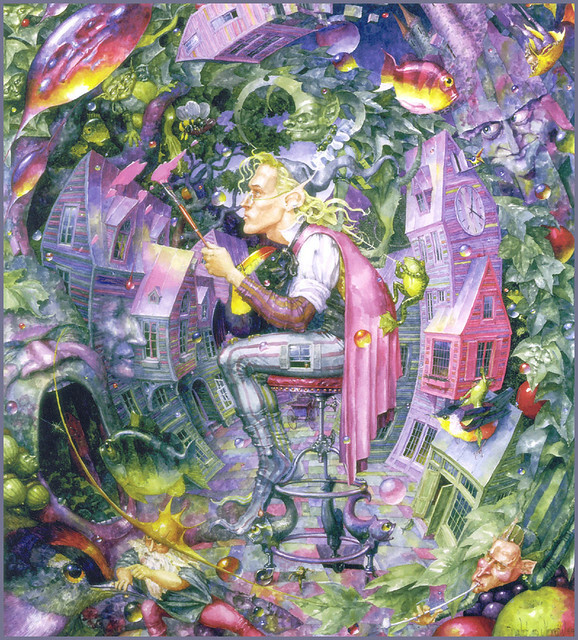 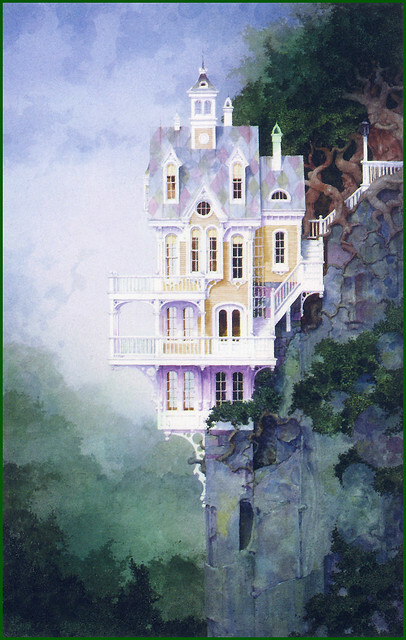 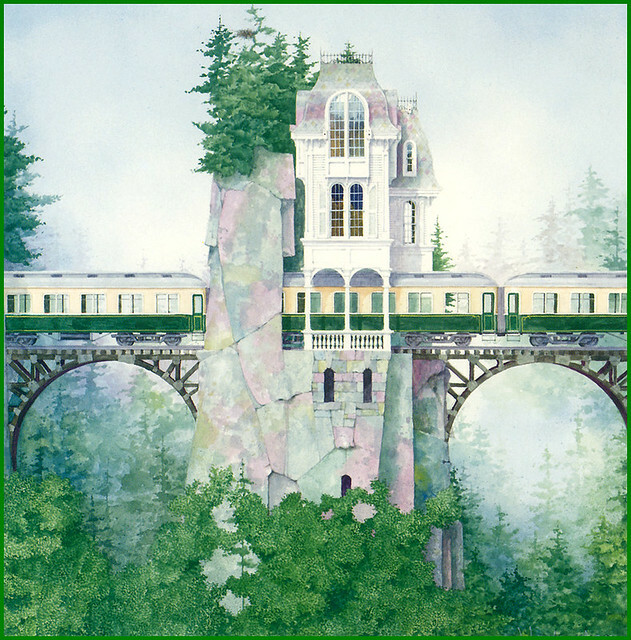 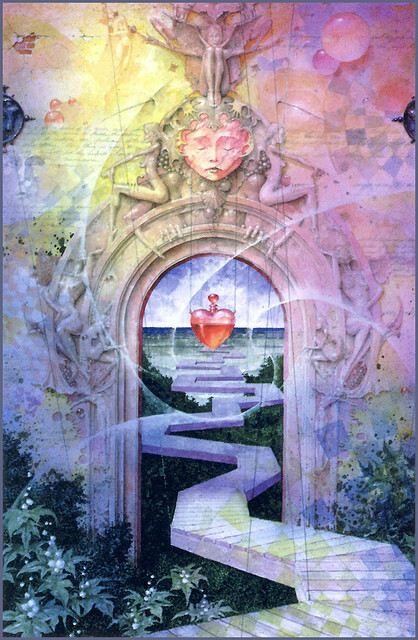 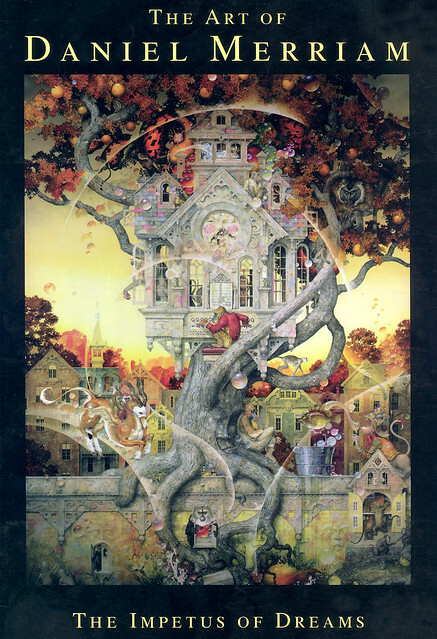 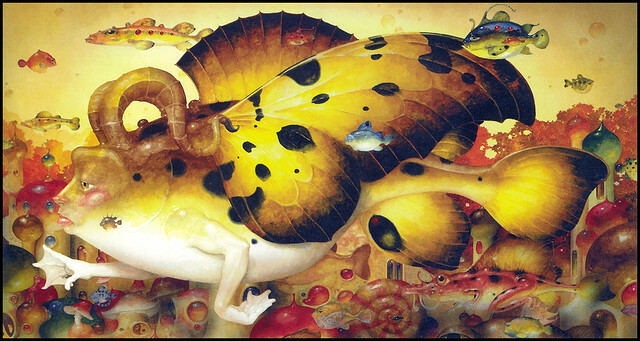 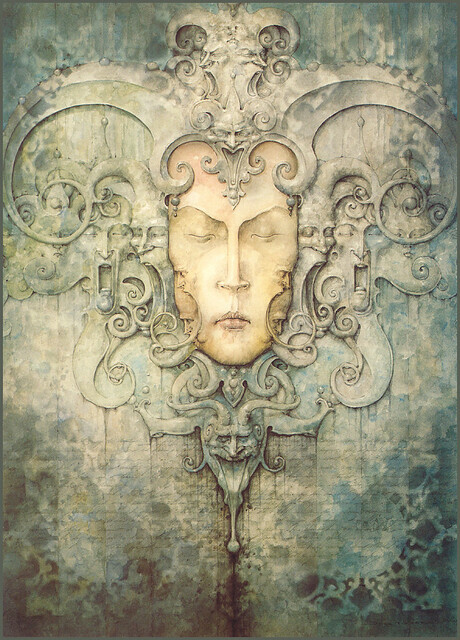 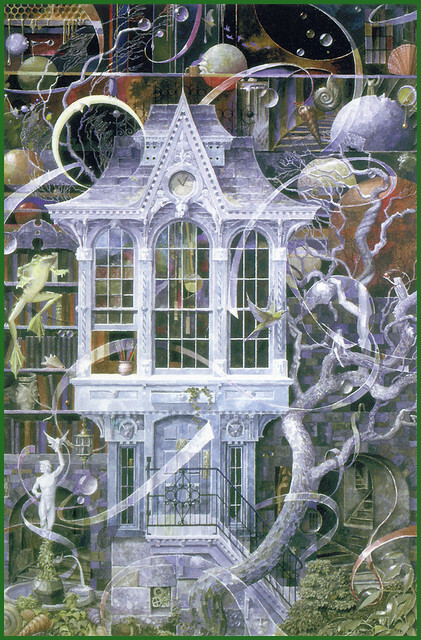 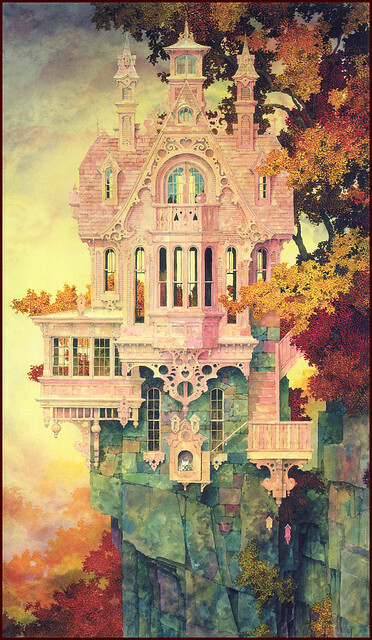 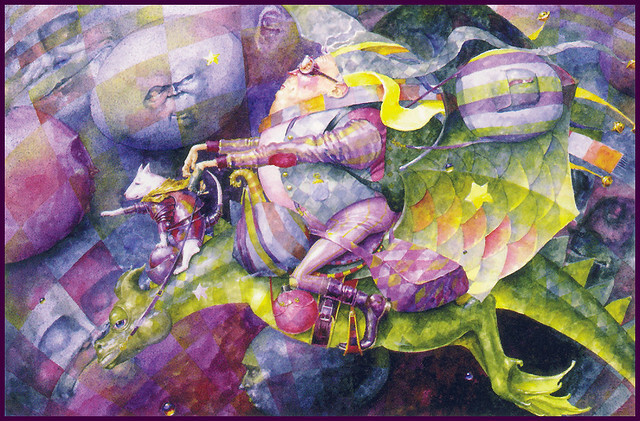 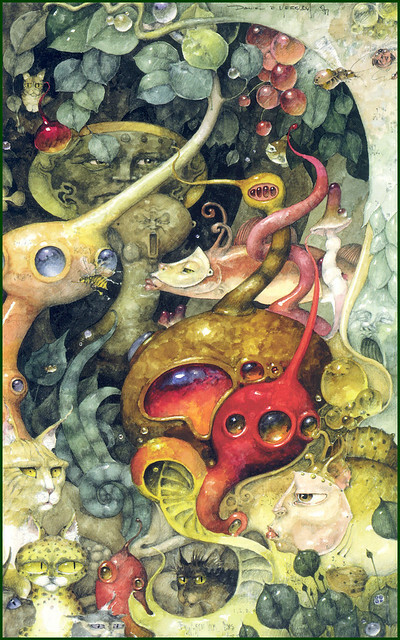 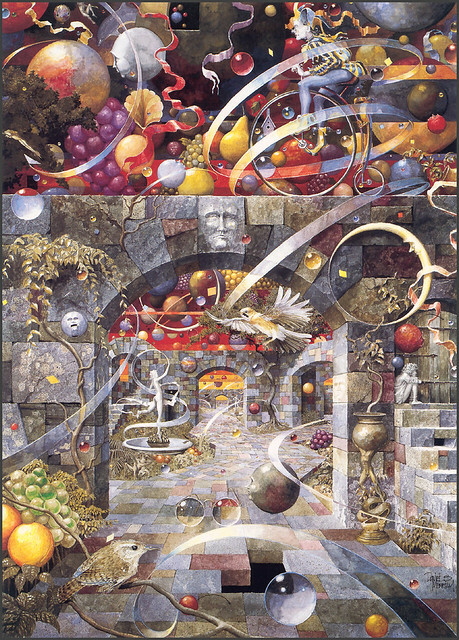 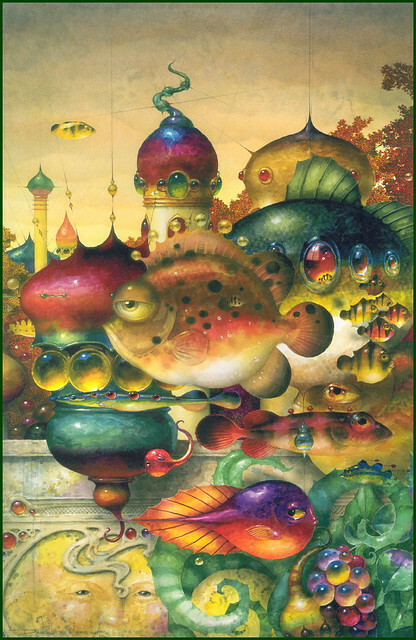 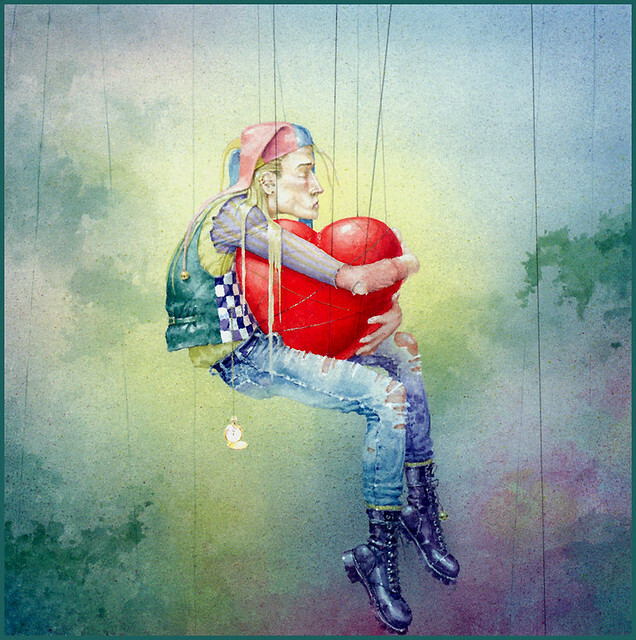 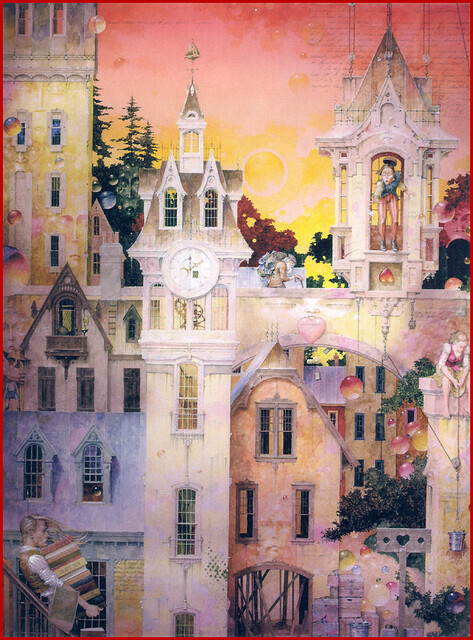 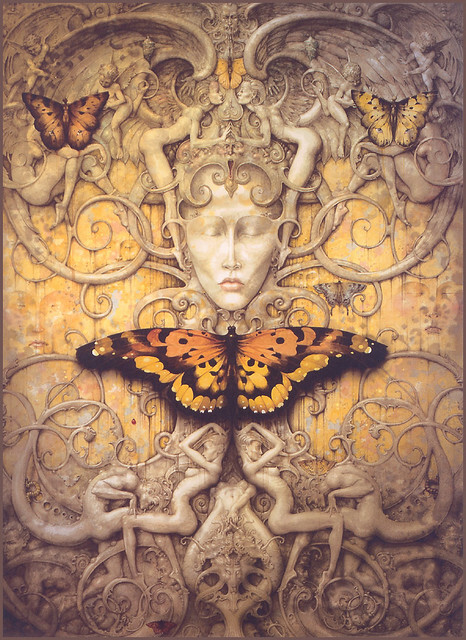 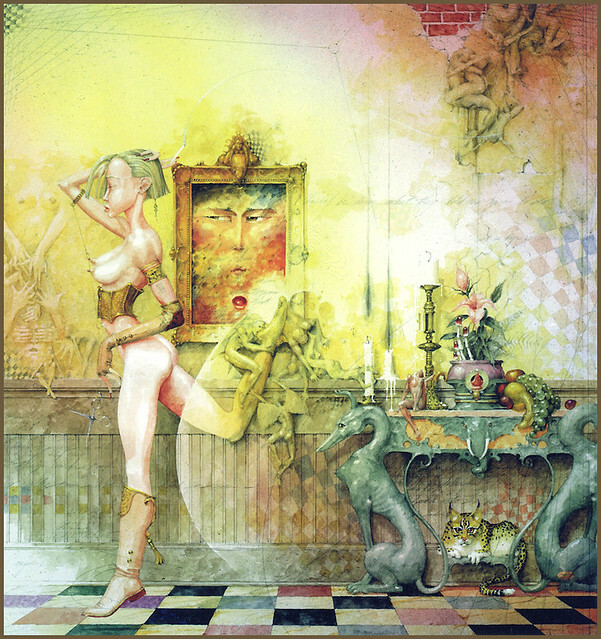 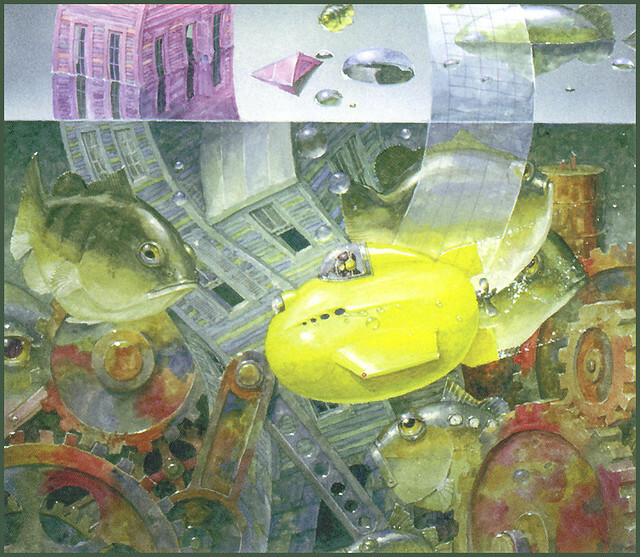 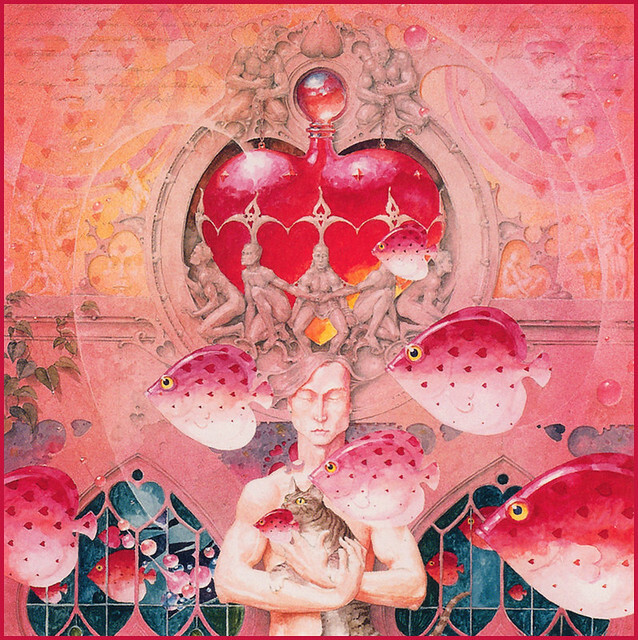 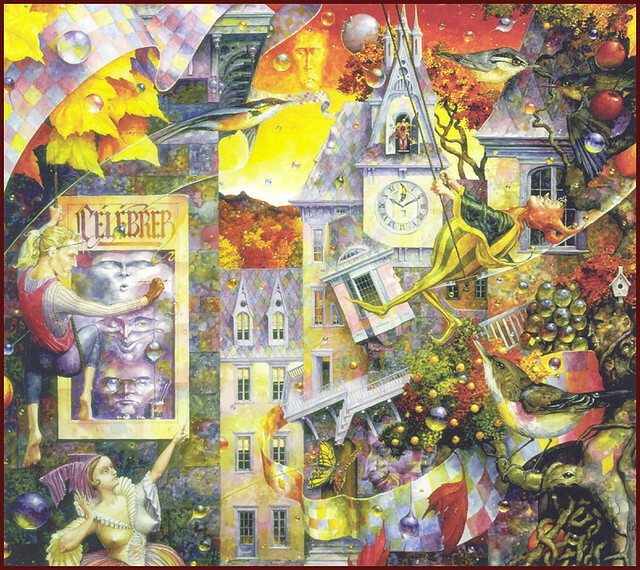 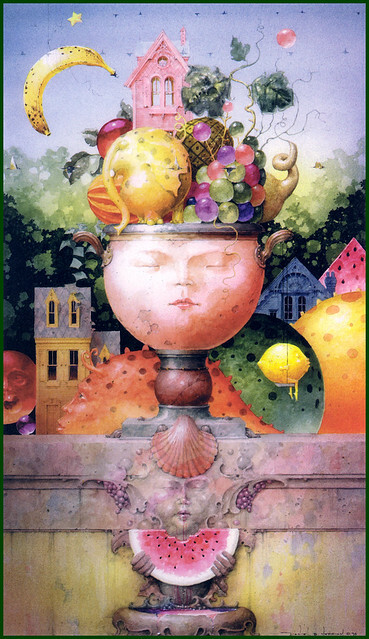 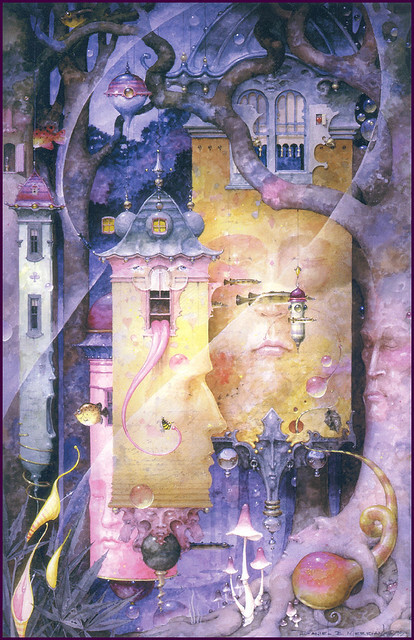 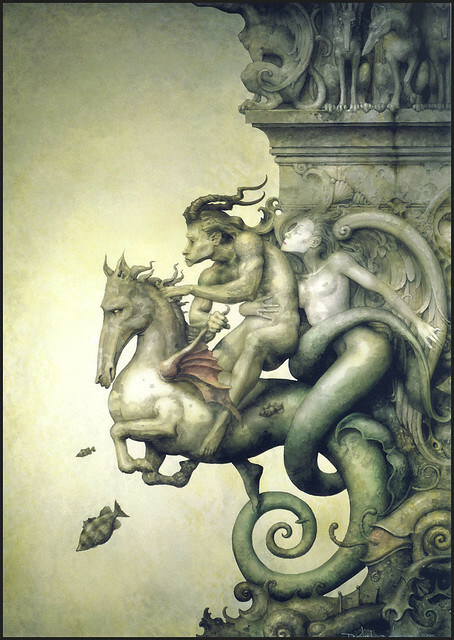 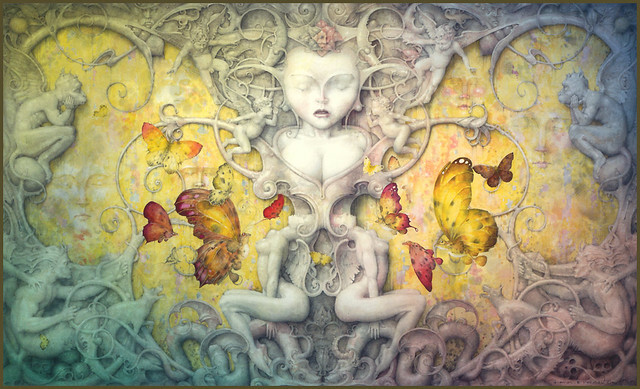 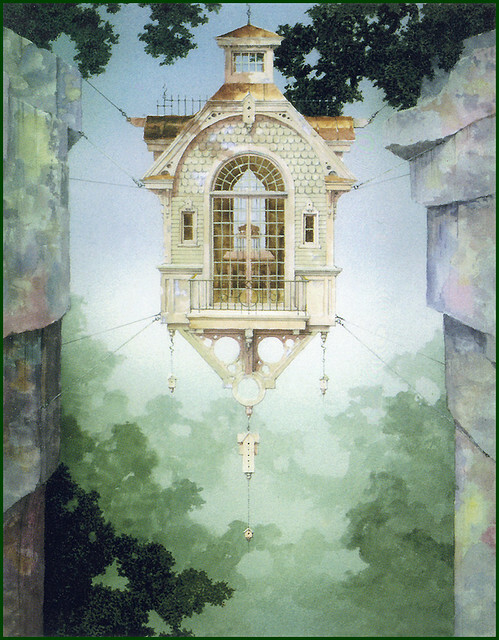 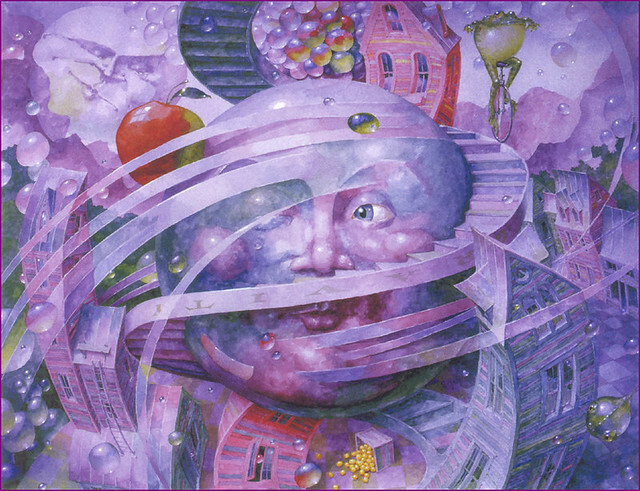 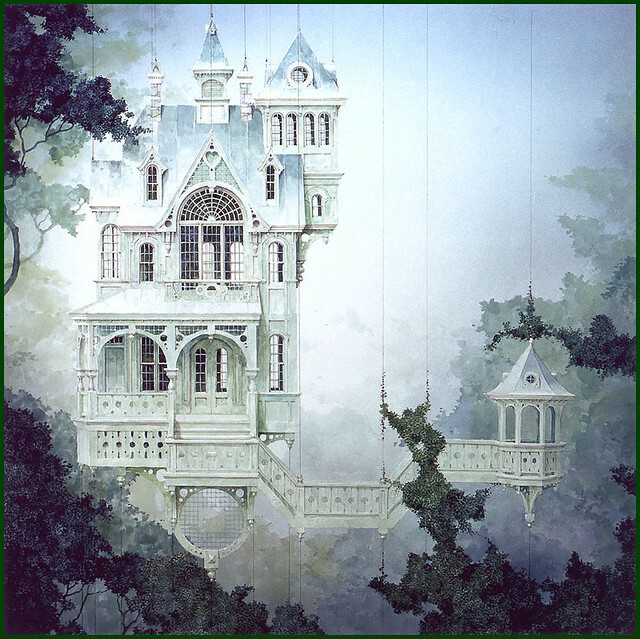 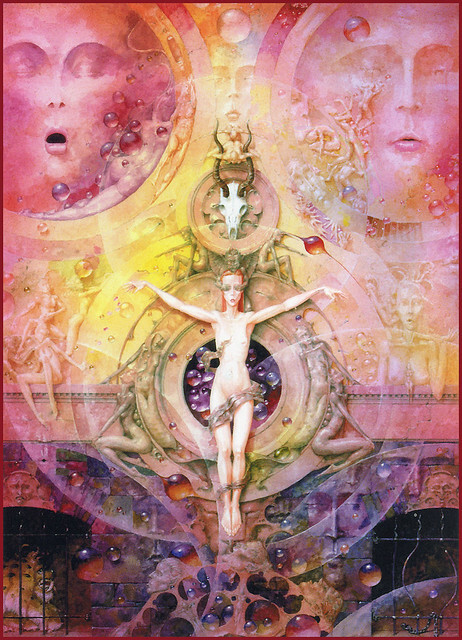 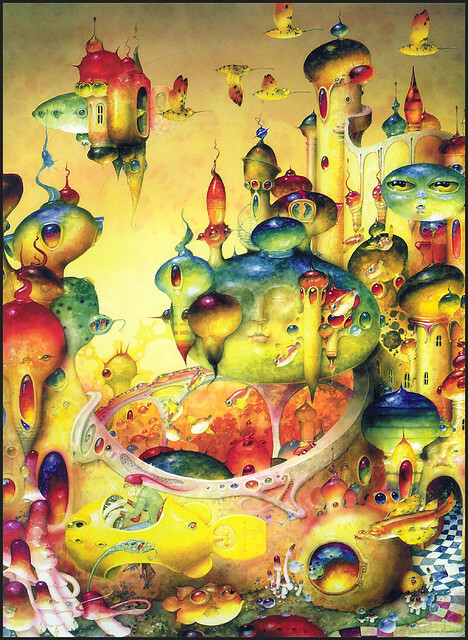 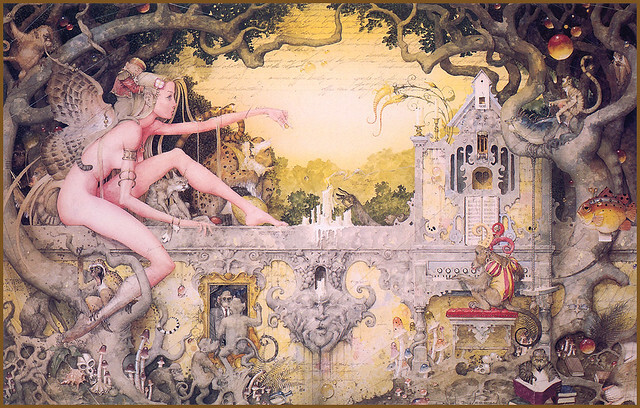 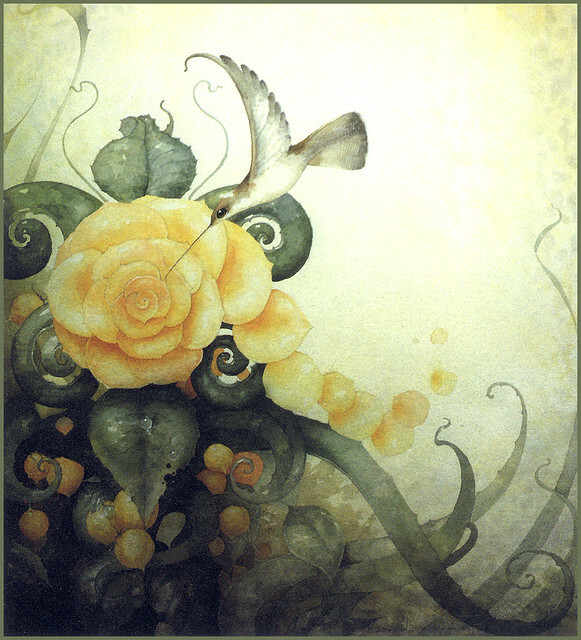 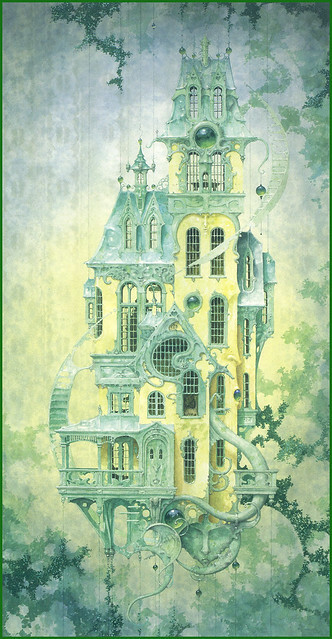 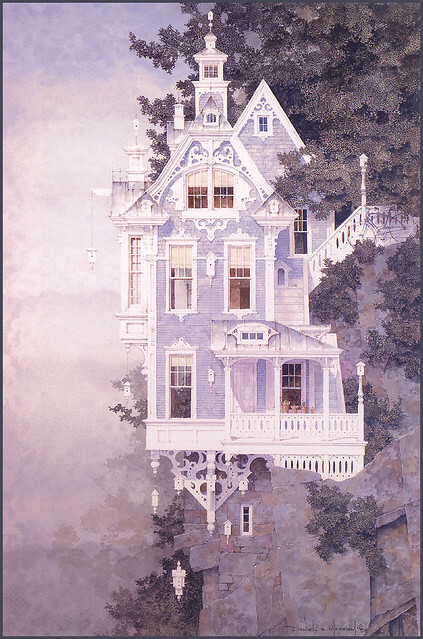 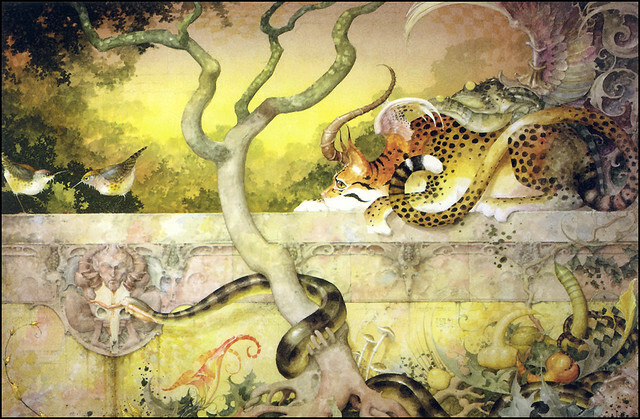 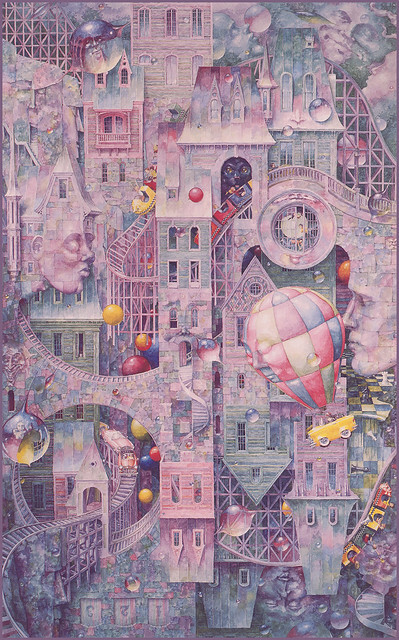 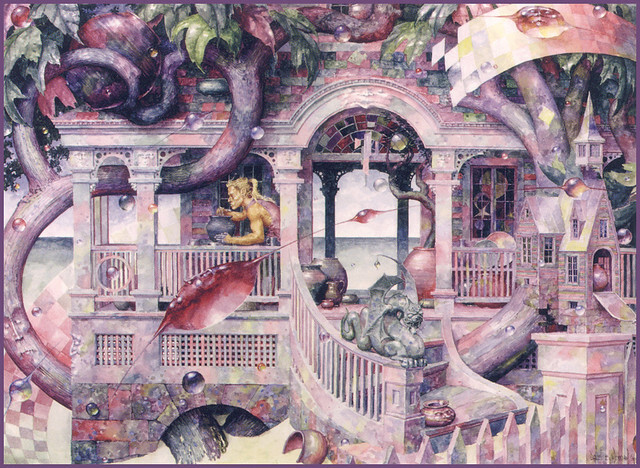 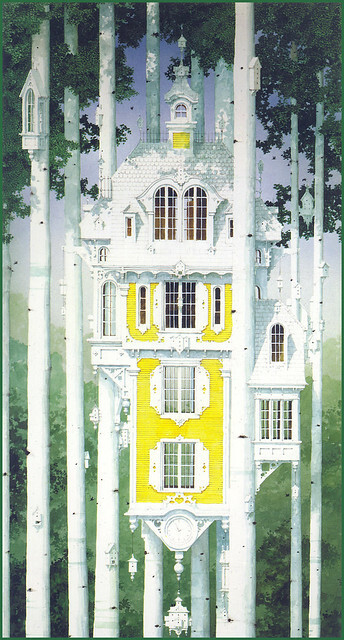 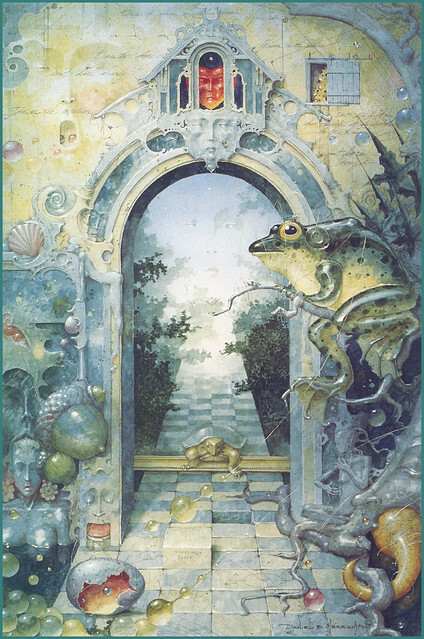 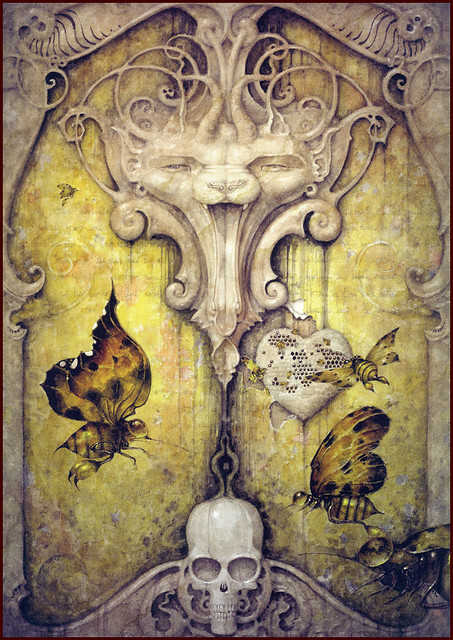 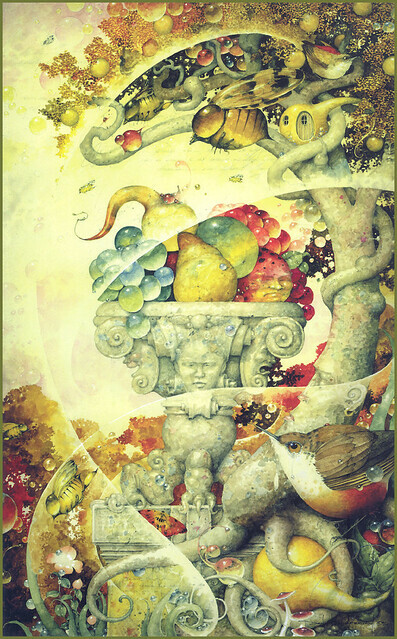 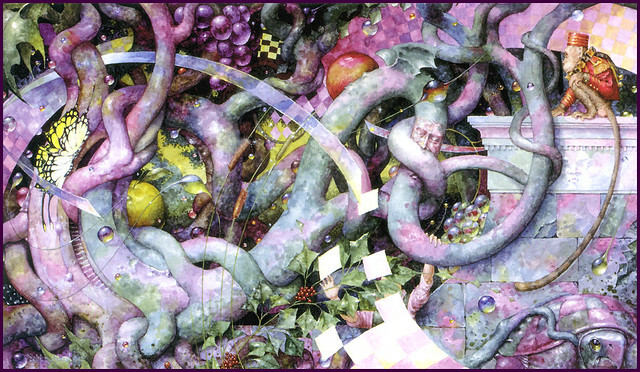 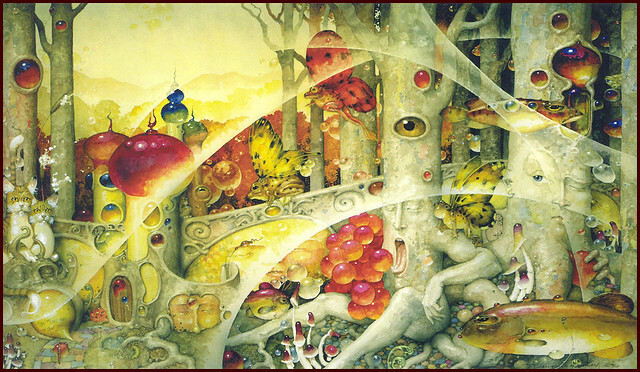 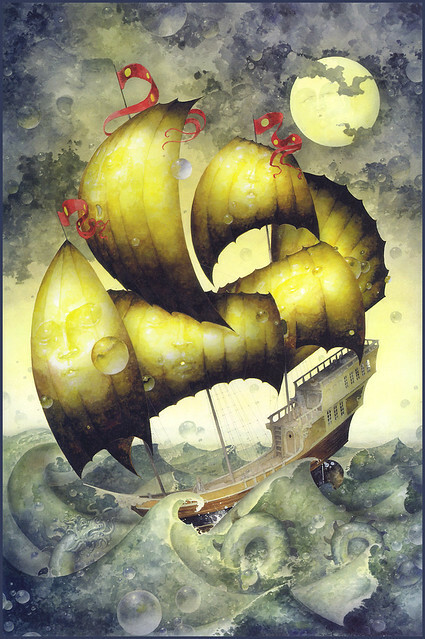 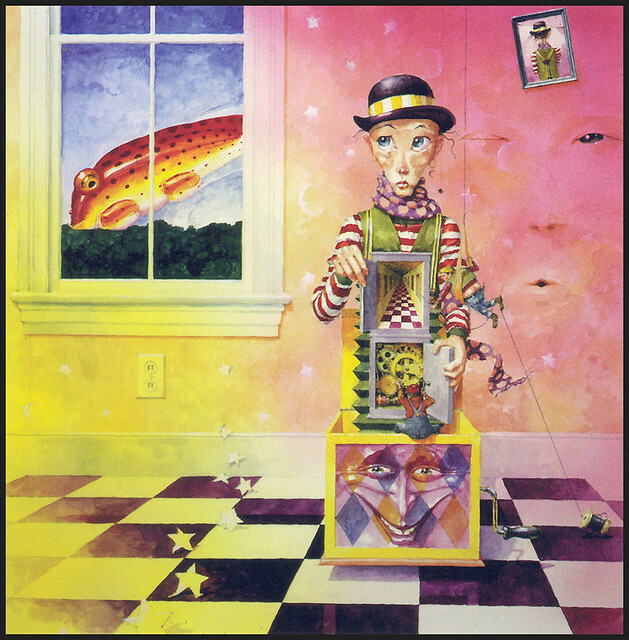 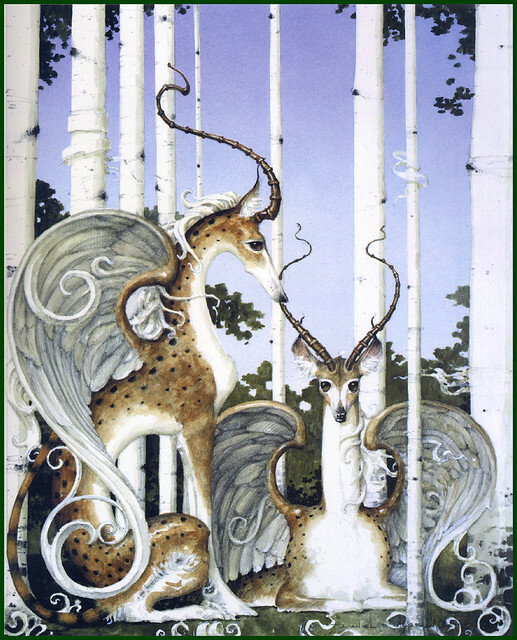 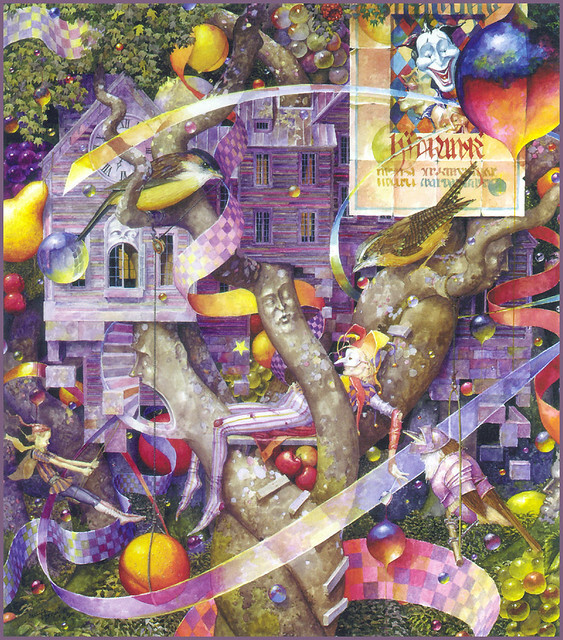 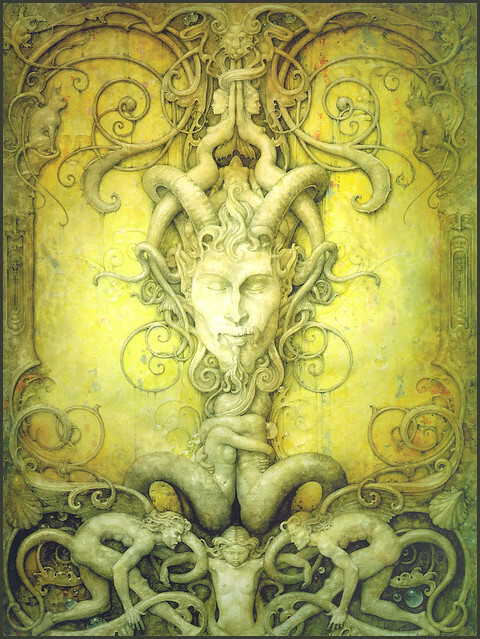 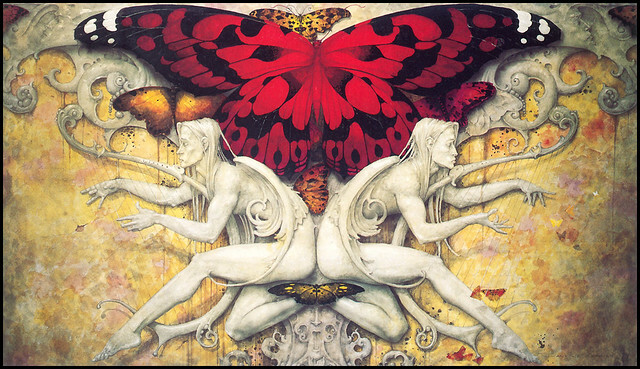 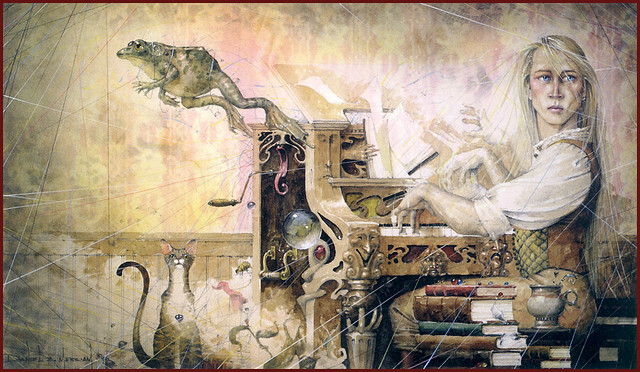 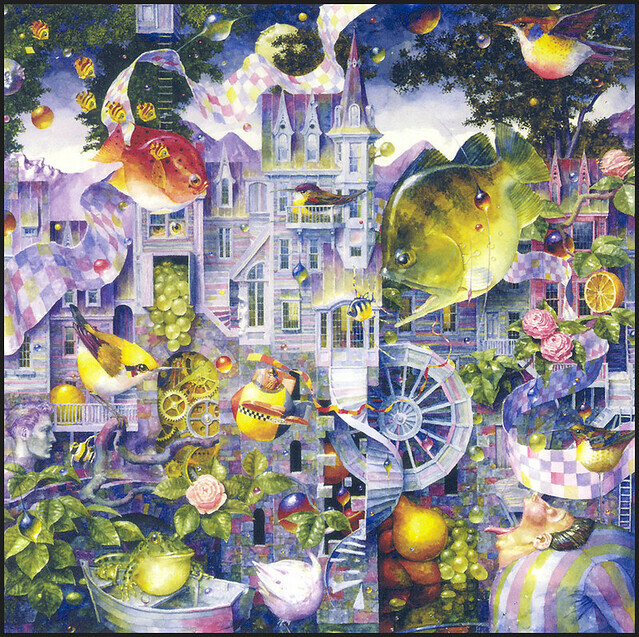 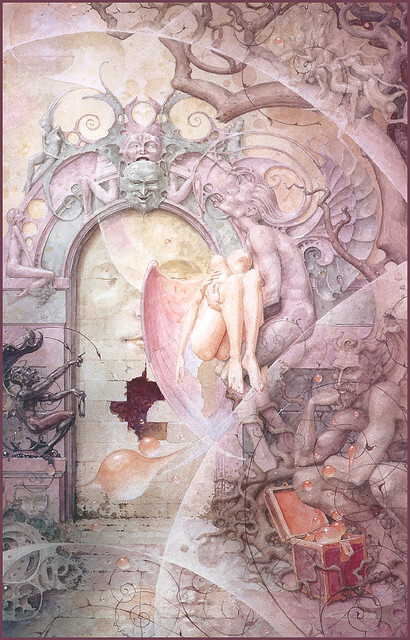 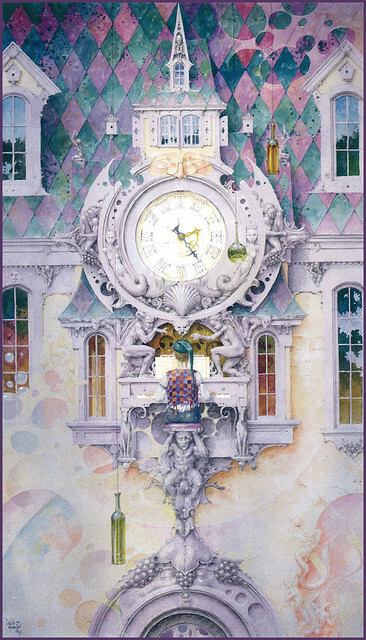 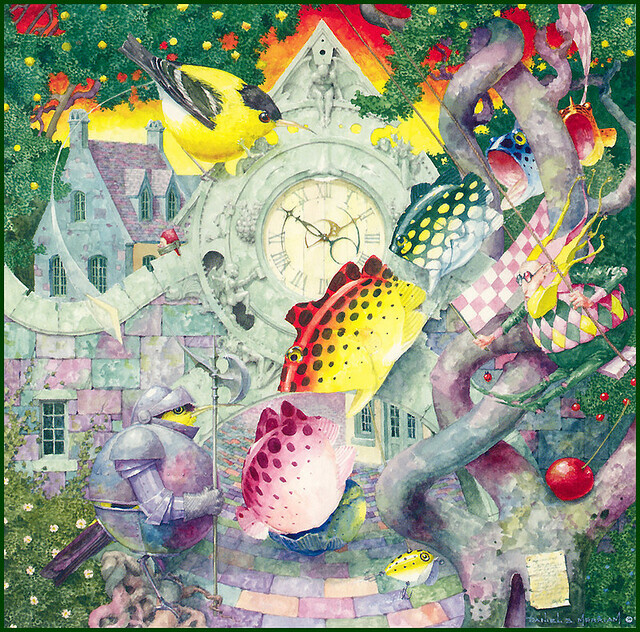 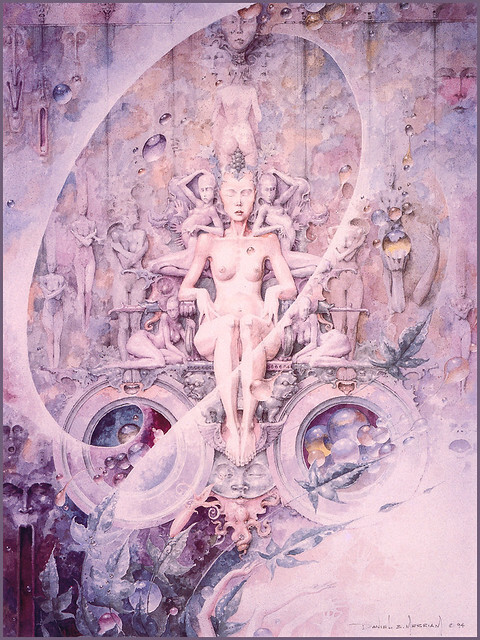 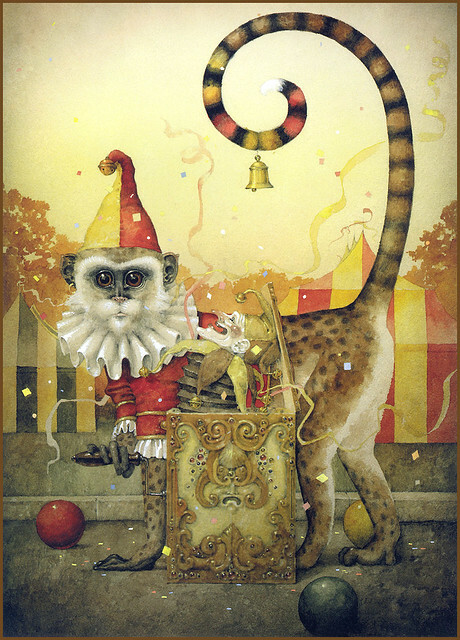 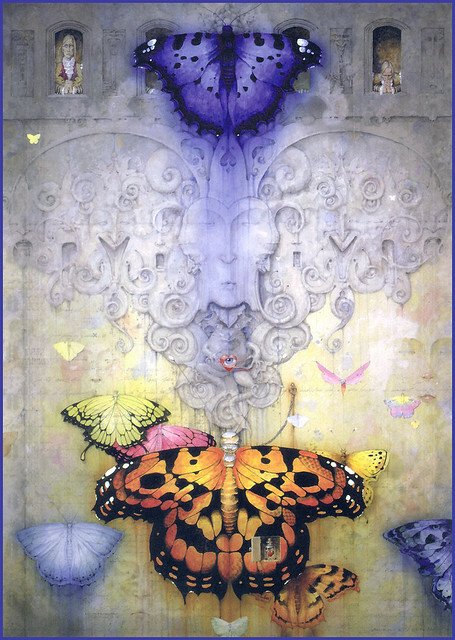 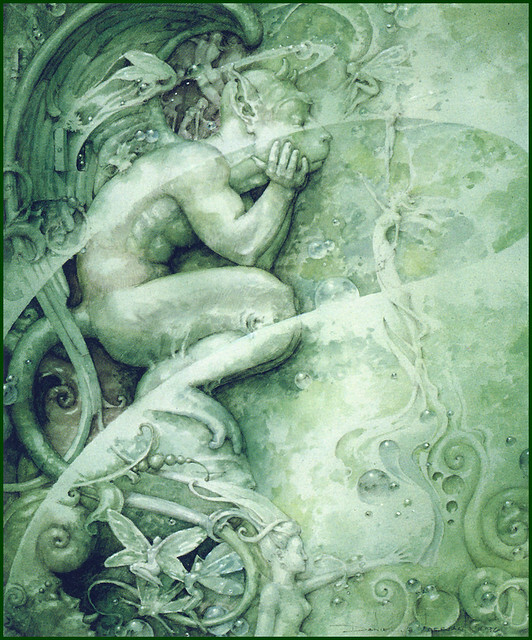 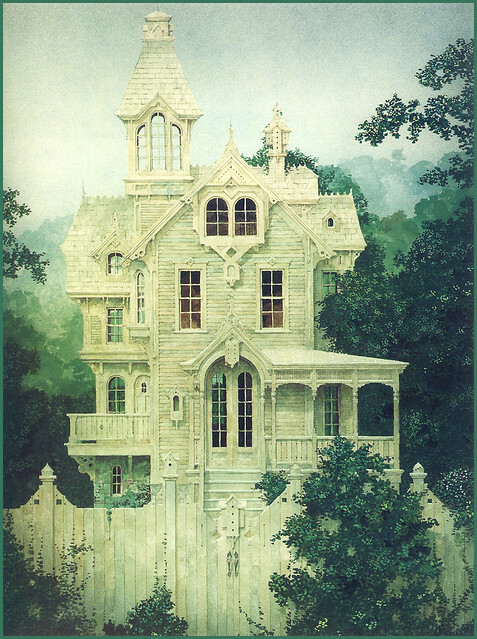 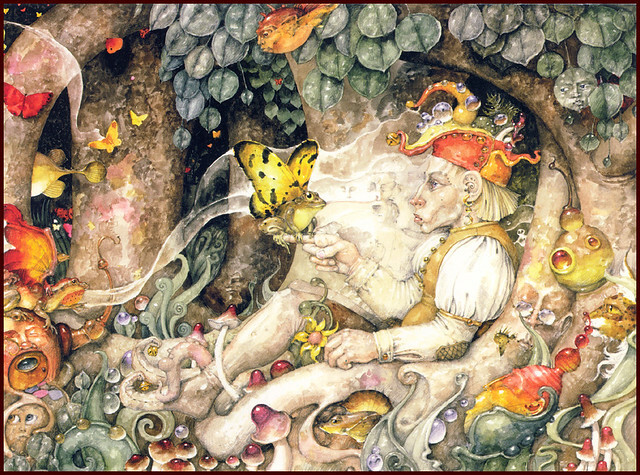 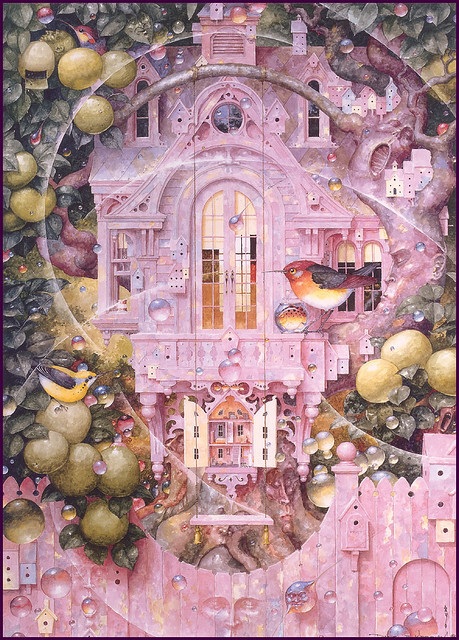 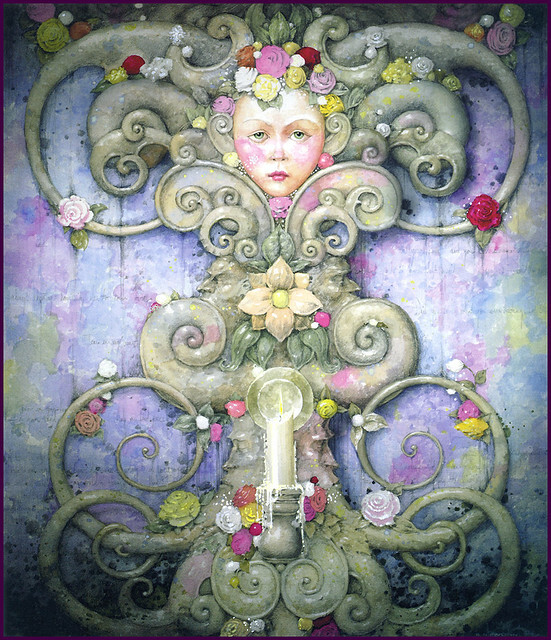 “Stimulus words” – this is the name of the surrealist paintings by renowned artist Daniel Merriam. 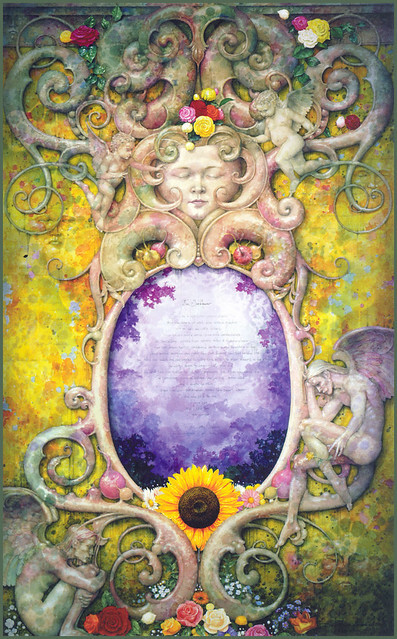 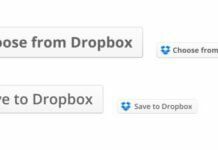 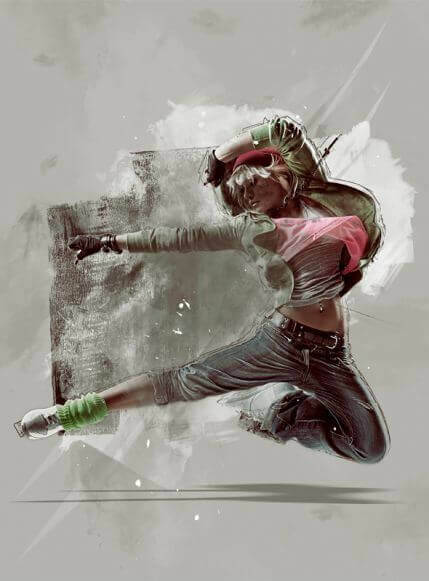 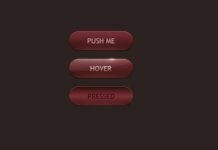 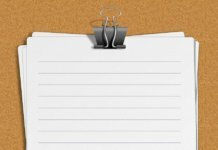 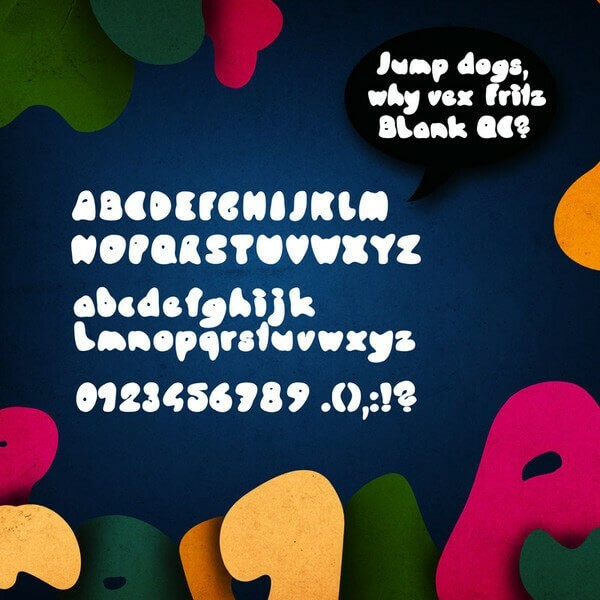 See his creations on our website absolutely free. 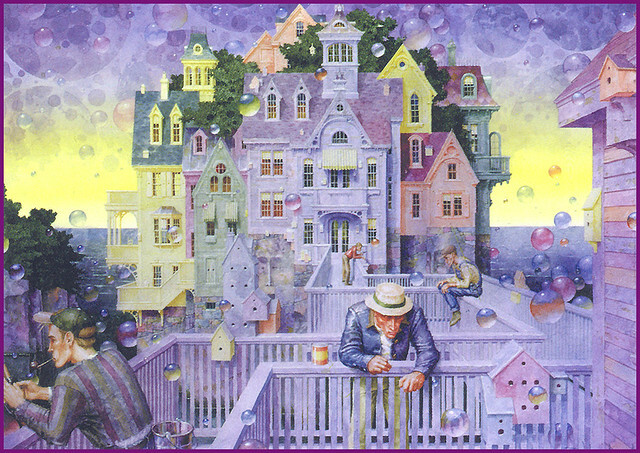 Merriam grew up in Naples, Maine and is one of seven children. 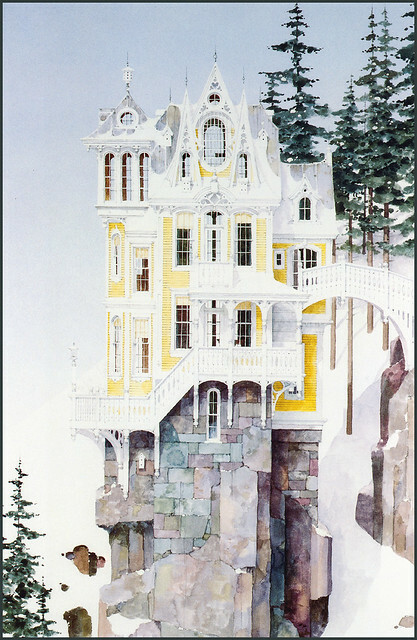 He studied mechanical and architectural design in the Central technical Institute of Maine. 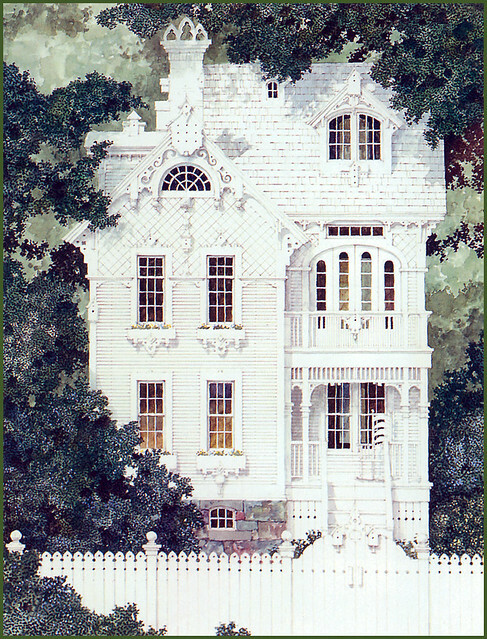 Later he worked in the design and construction business of his family, as well as architectural and commercial Illustrator. 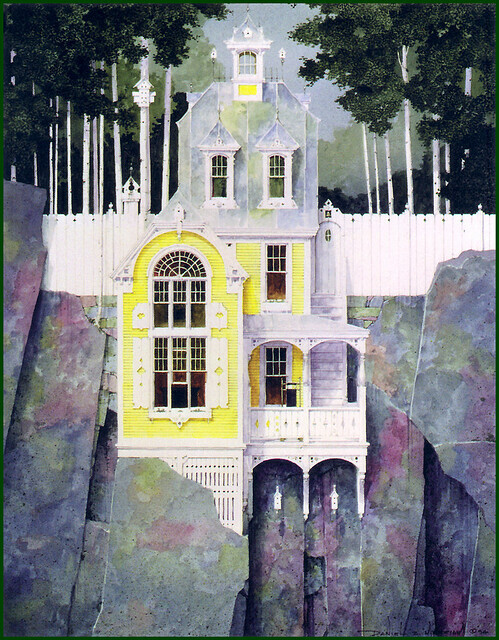 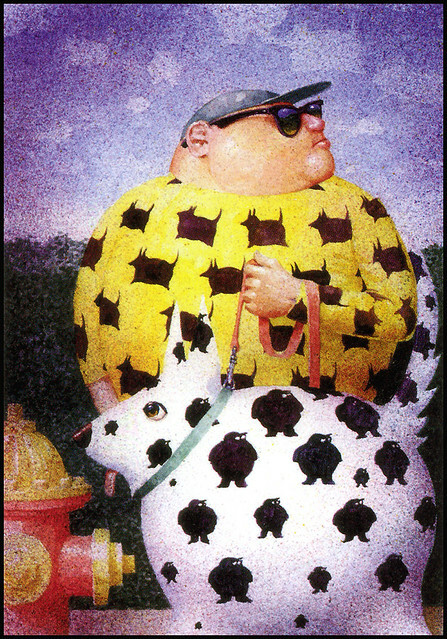 He held his first solo exhibition as a fine artist at Abacus gallery in Maine in 1987. 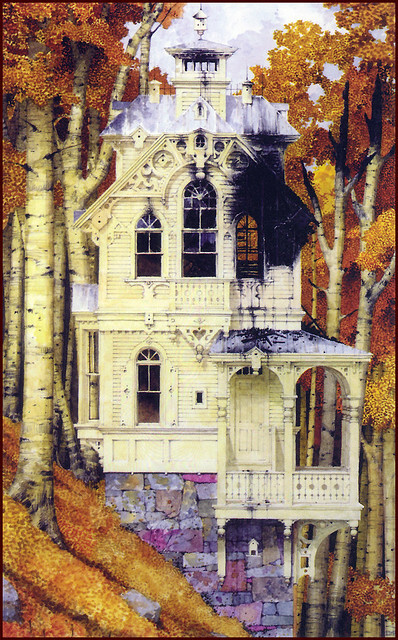 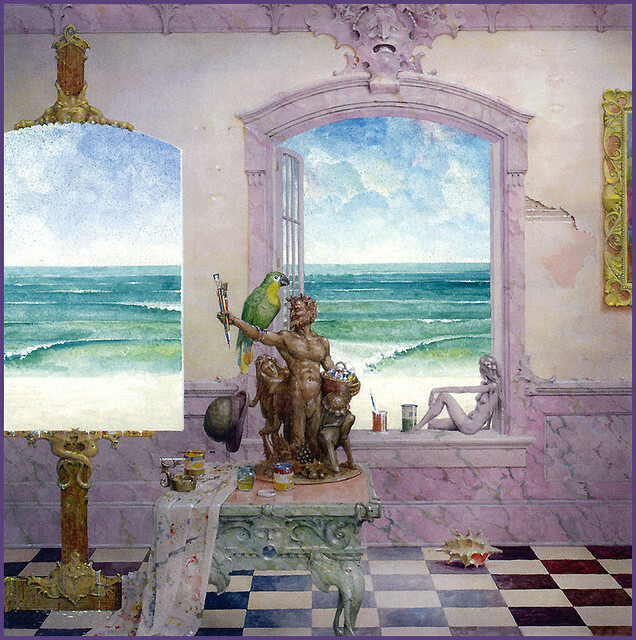 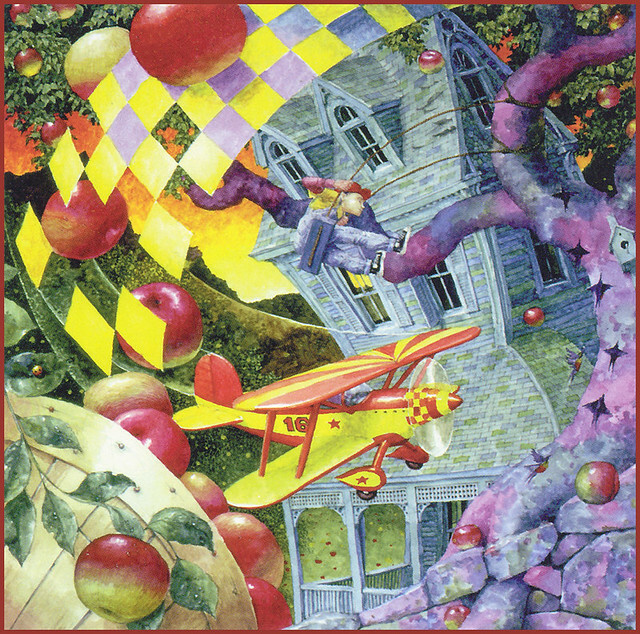 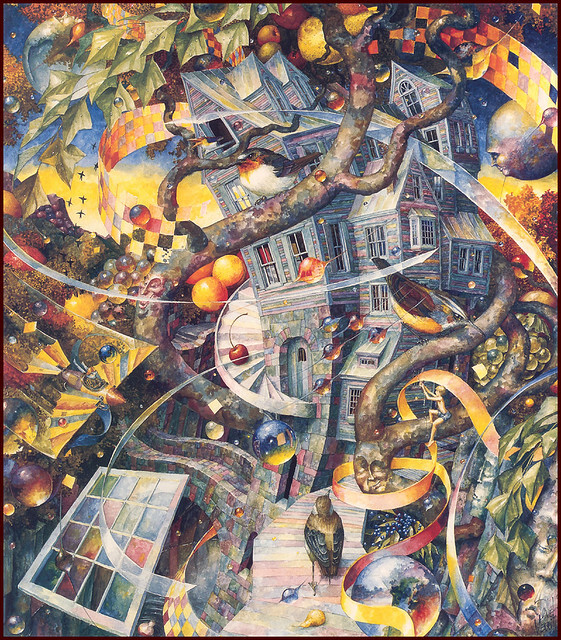 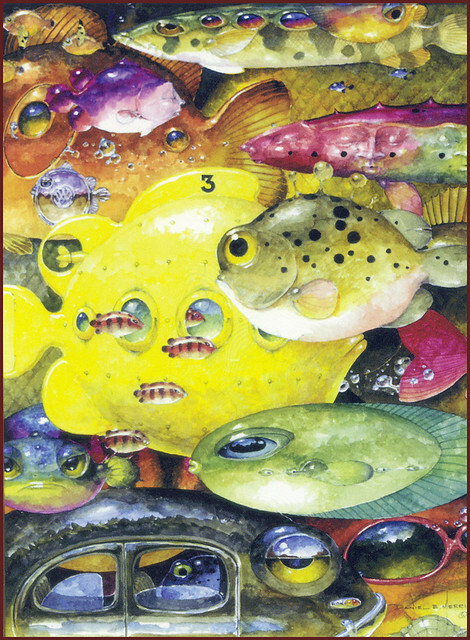 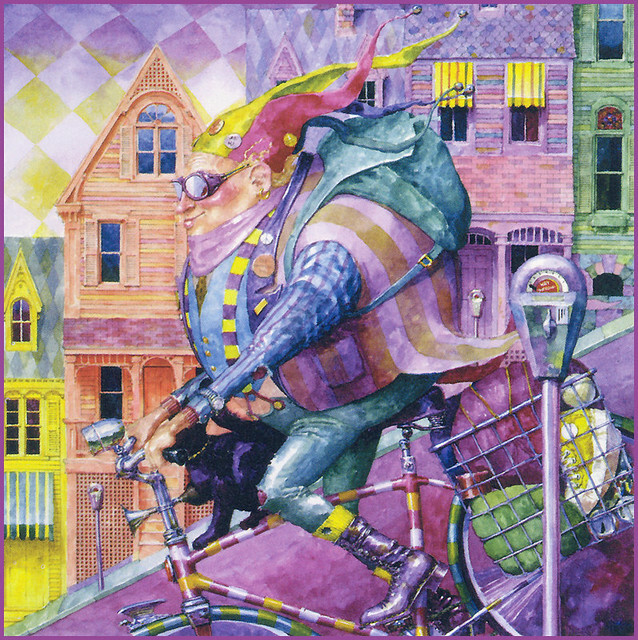 Merriam has produced paintings for the covers of books by Paula Wolski and Neal Barrett Jr. published by Bantam Books, as well as for Mid-American Review. 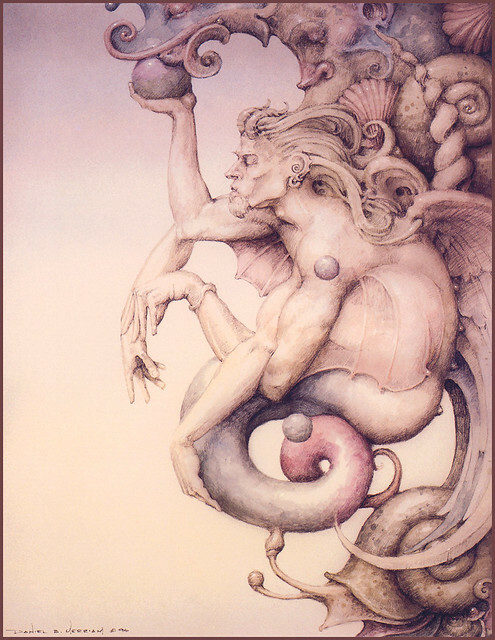 His work was also used on the poster “Midsummer night’s dream” by William Shakespeare, staged by McCarter theatre in new Jersey. 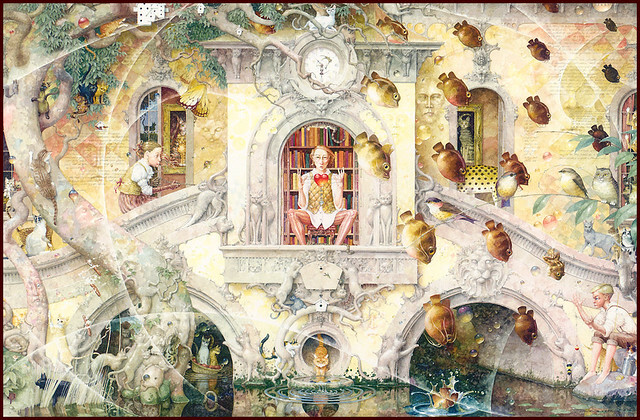 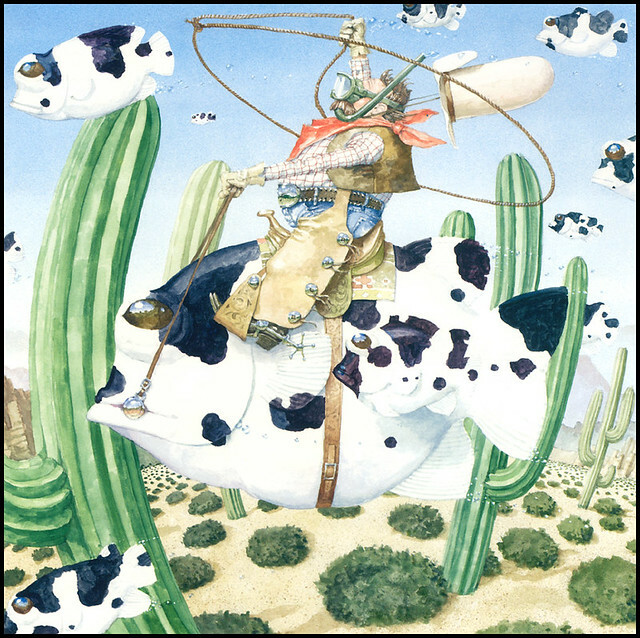 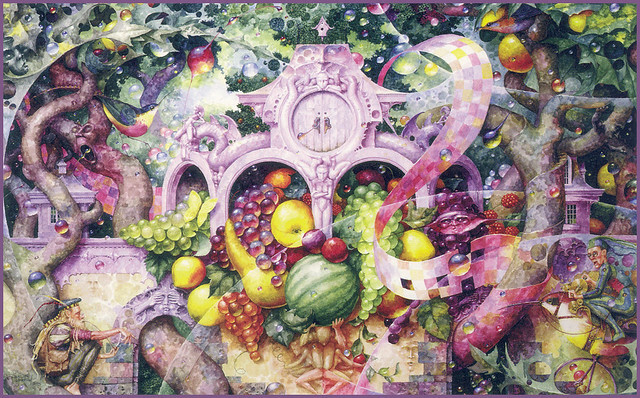 He published two catalogues of collections of his paintings in 1998 and 2007, which are part of the permanent archives at the County Museum of art Los Angeles, the National Museum of American illustration and Museum of arts of the Peninsula. 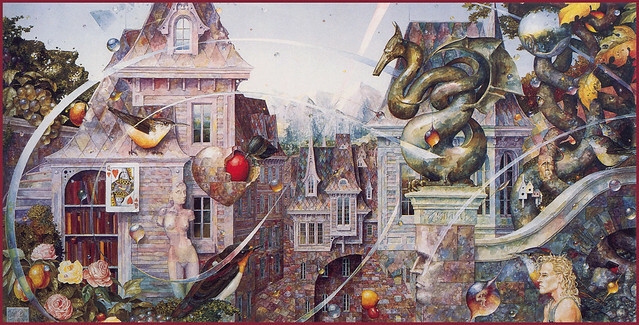 He had exhibitions in the United States, Europe and the middle East. 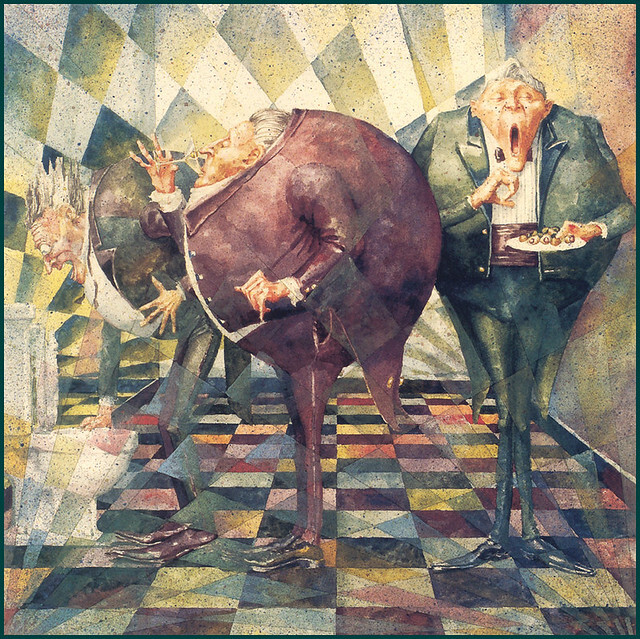 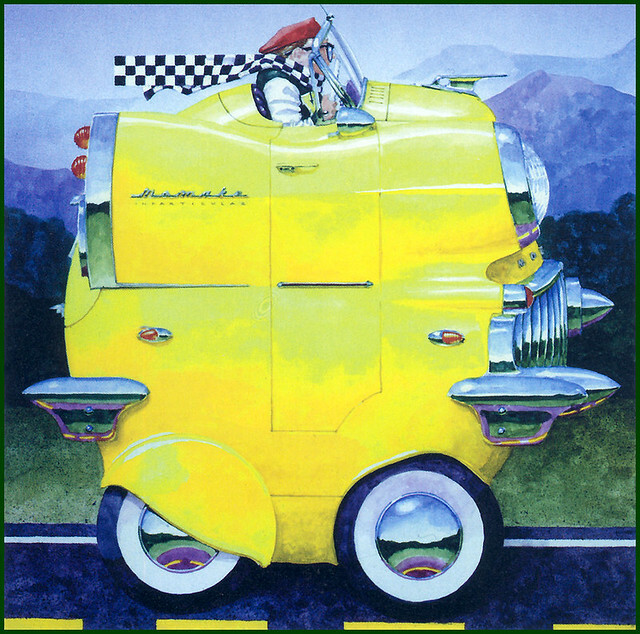 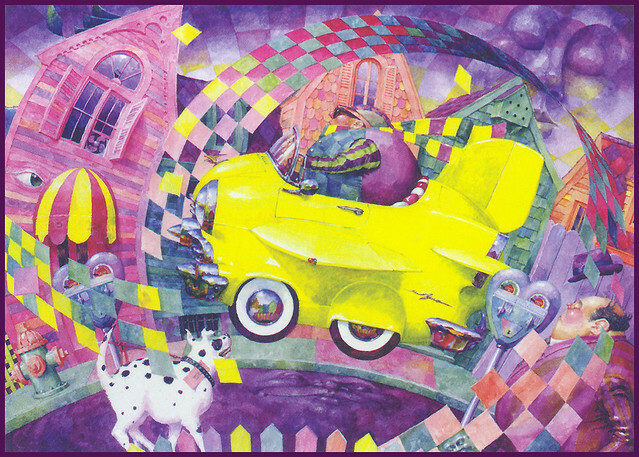 The work of Merriam is included in public collections of the riverside Museum of Art, Merrill Lynch, The Gesundheit! 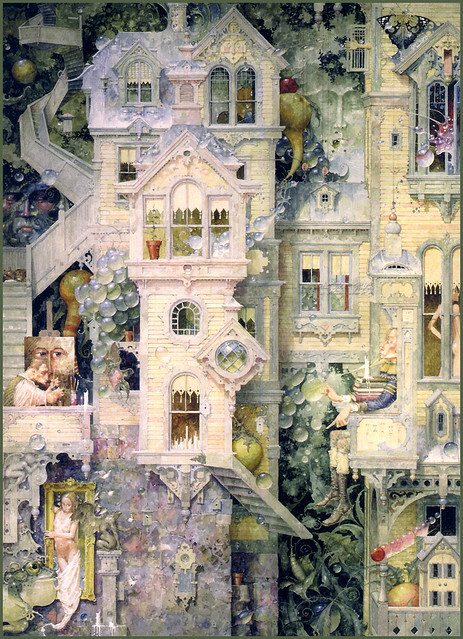 Institute, the Manhattan club, and others.